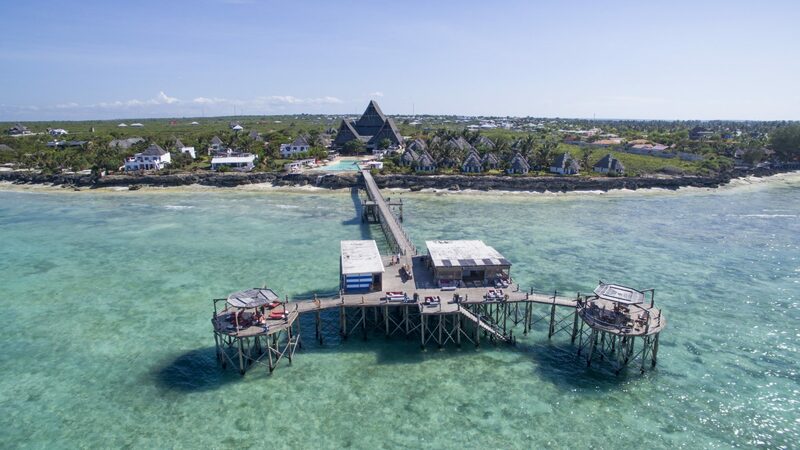 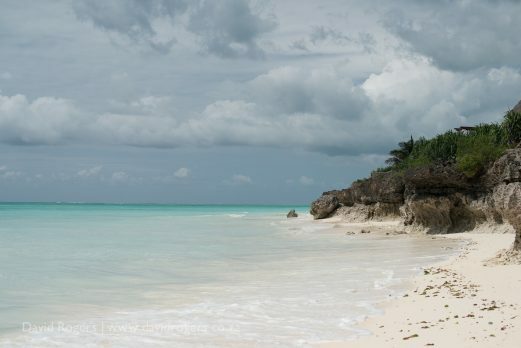 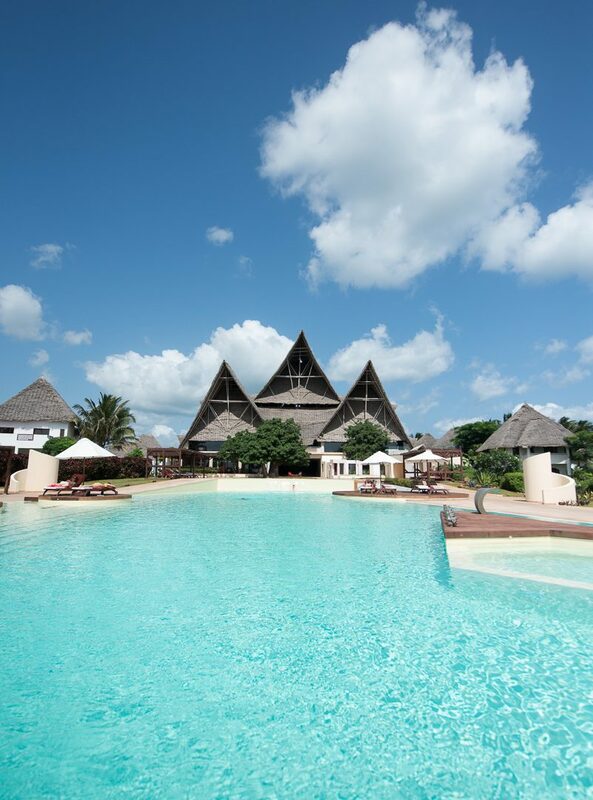 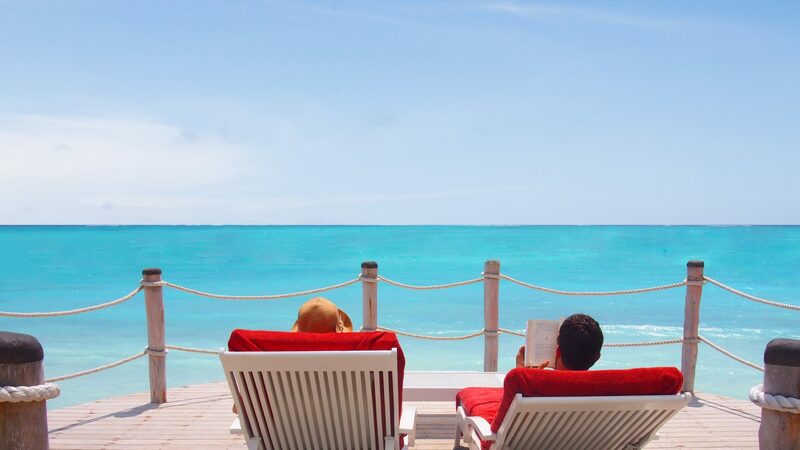 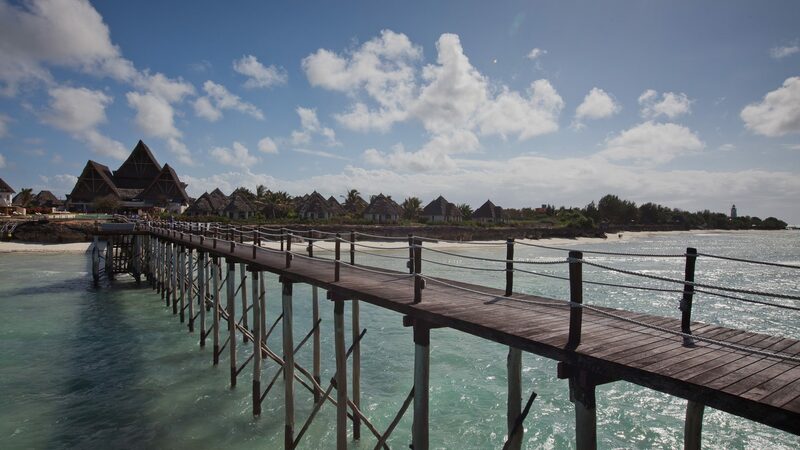 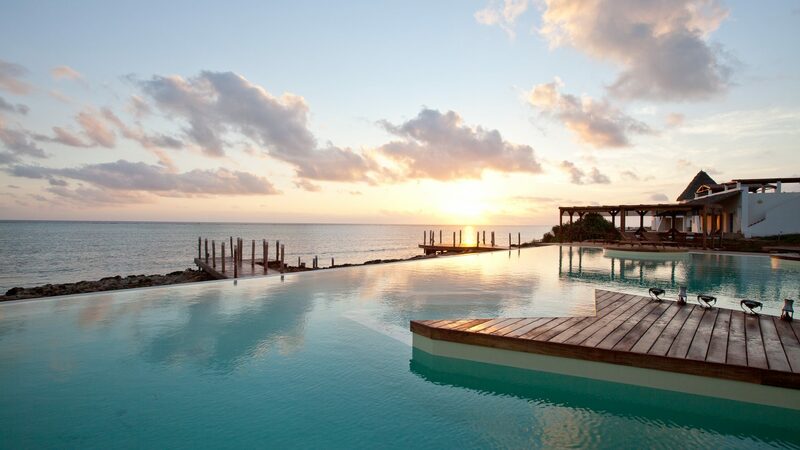 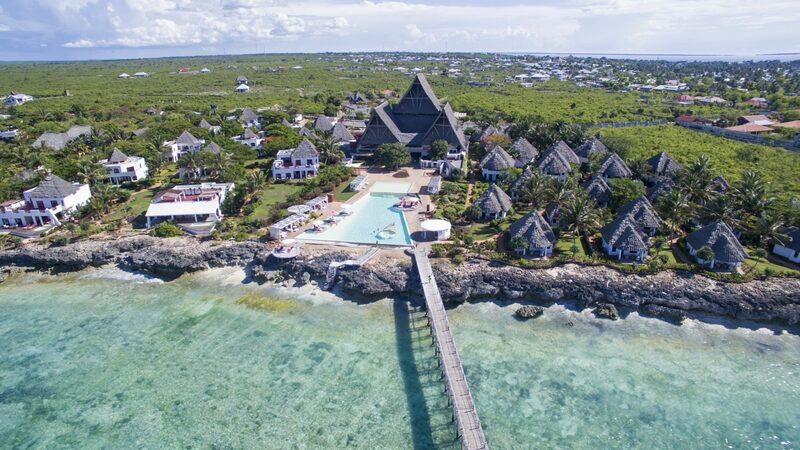 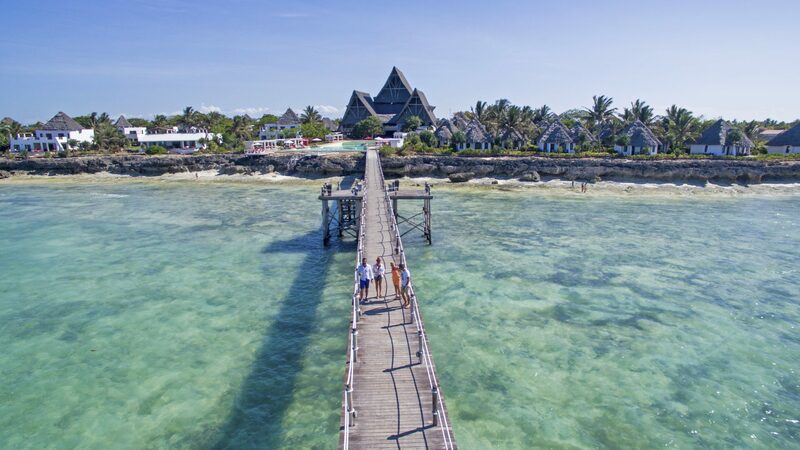 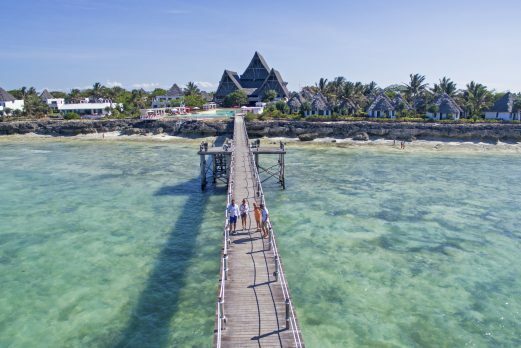 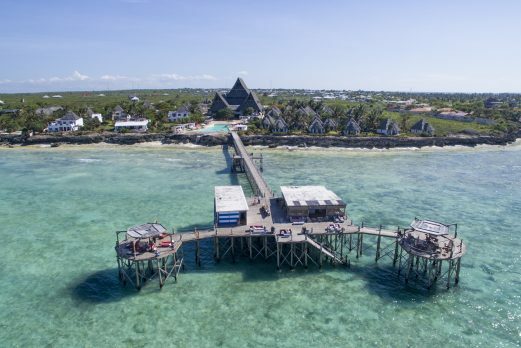 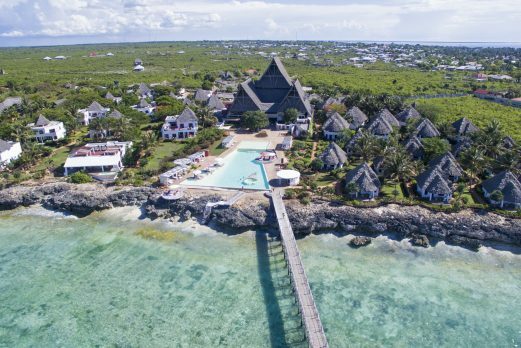 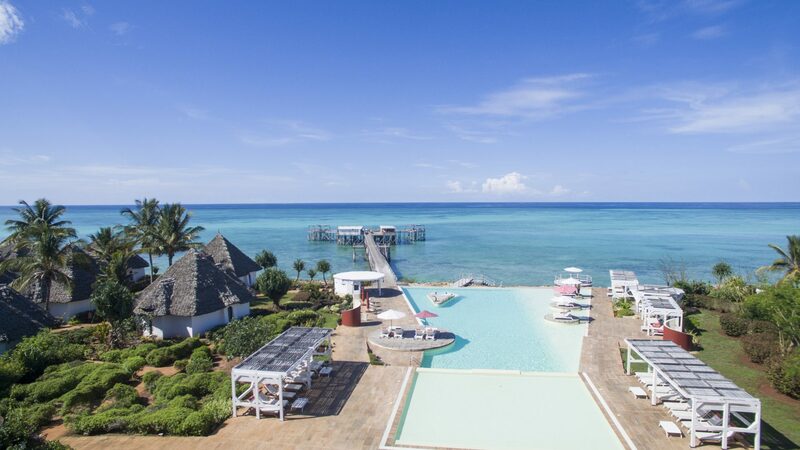 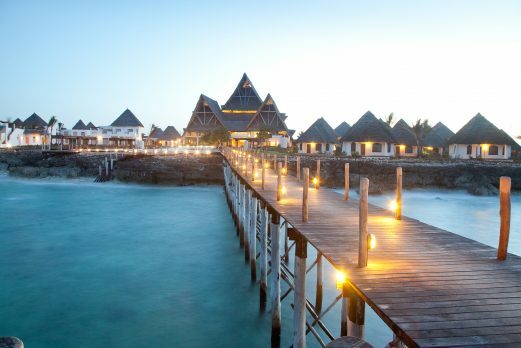 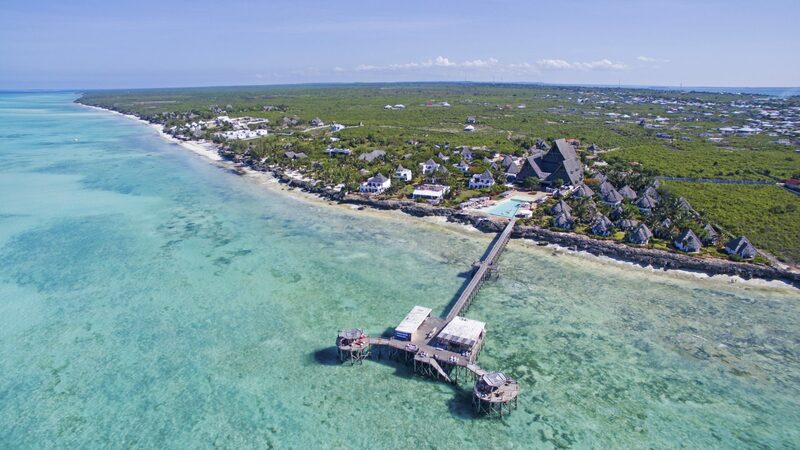 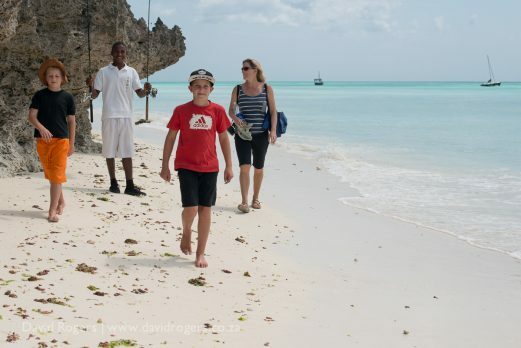 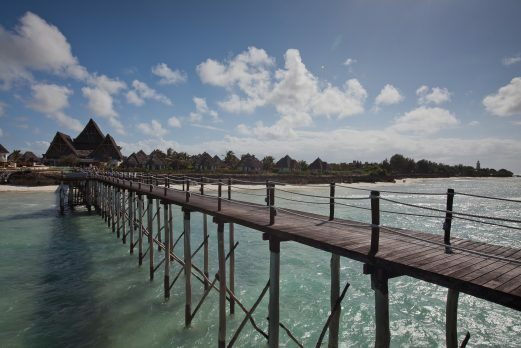 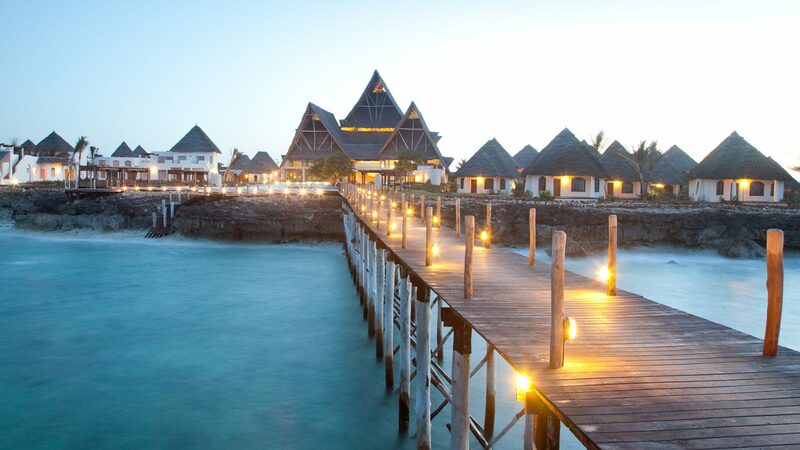 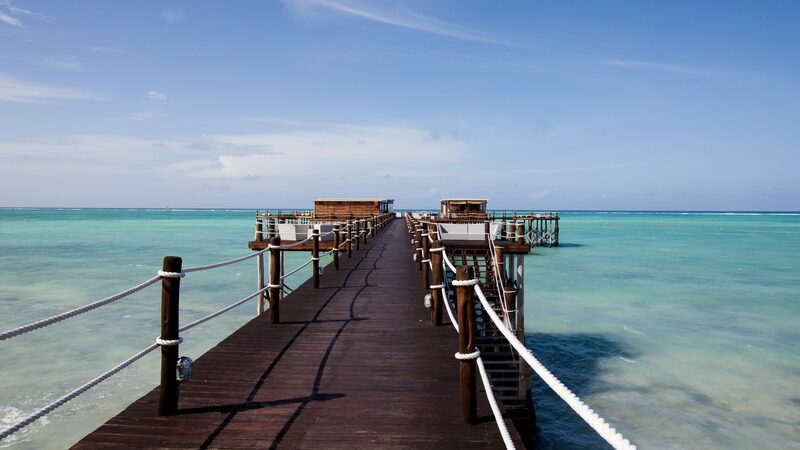 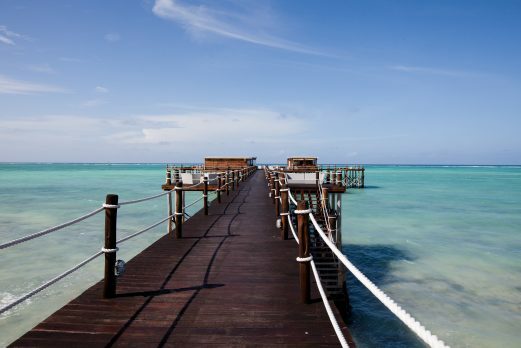 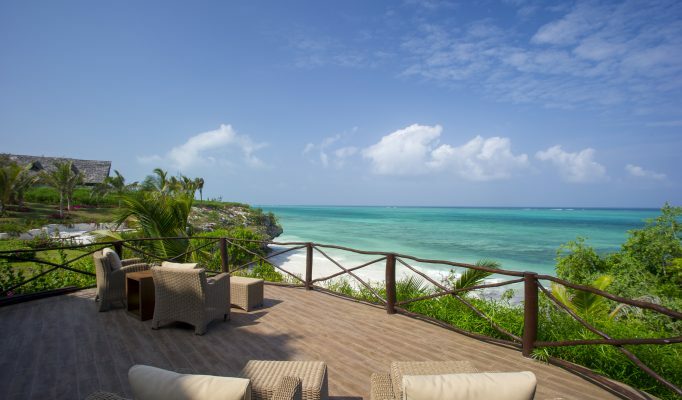 Nestled in a natural cove on the north east coast, Essque Zalu Zanzibar combines contemporary luxury with a real sense of place. 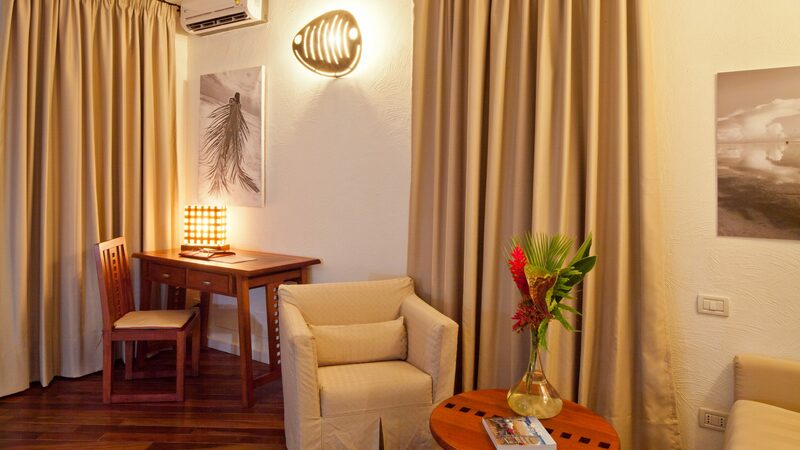 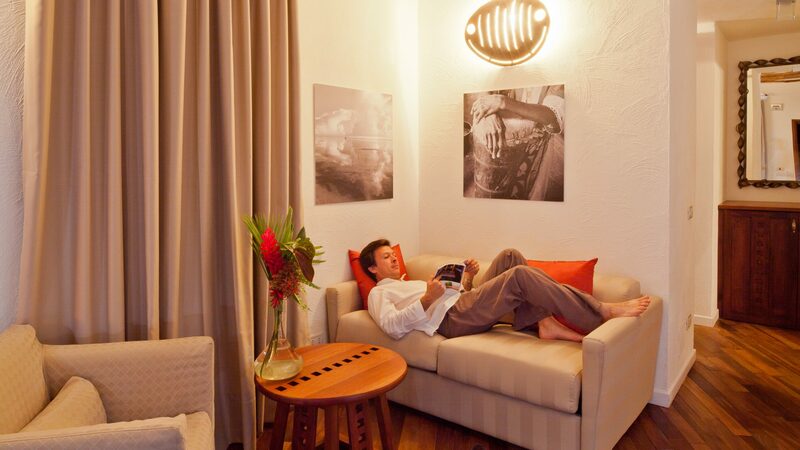 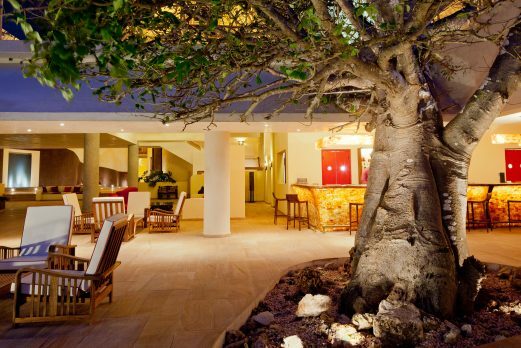 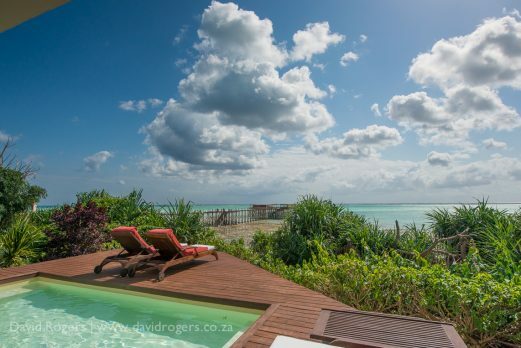 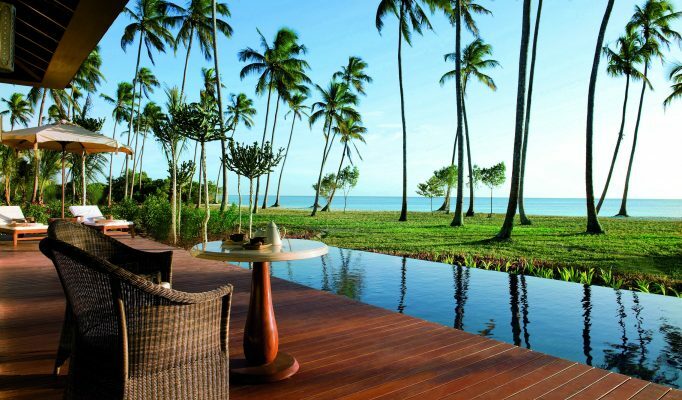 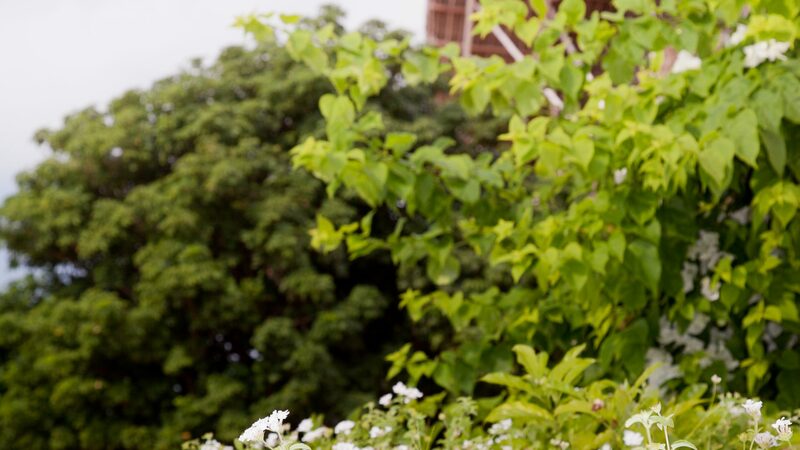 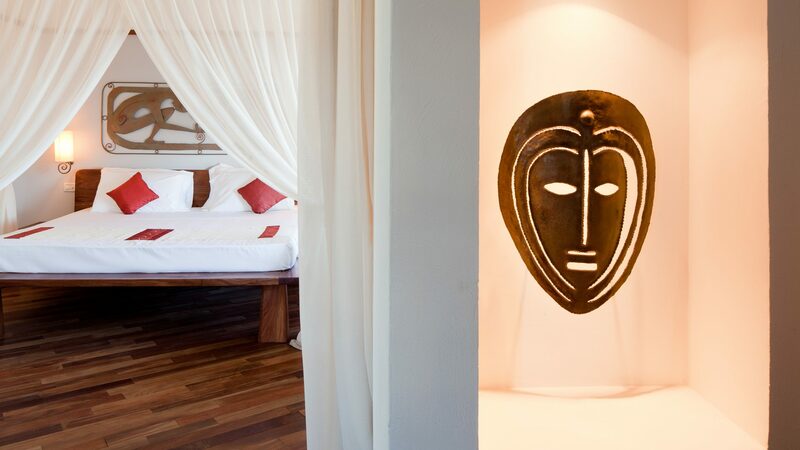 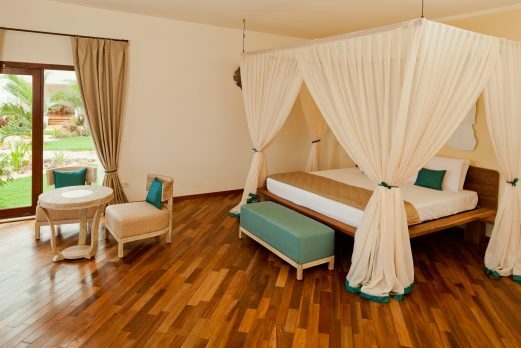 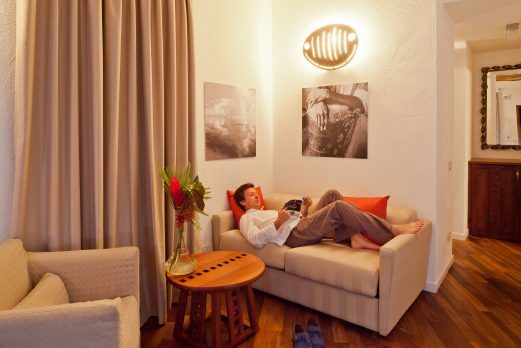 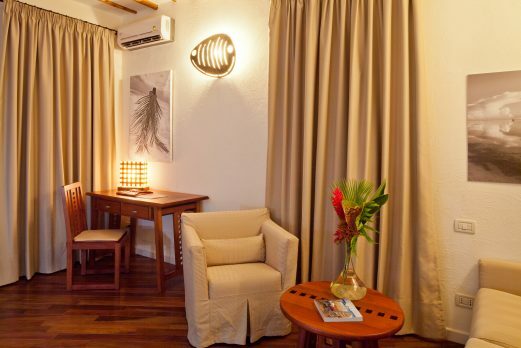 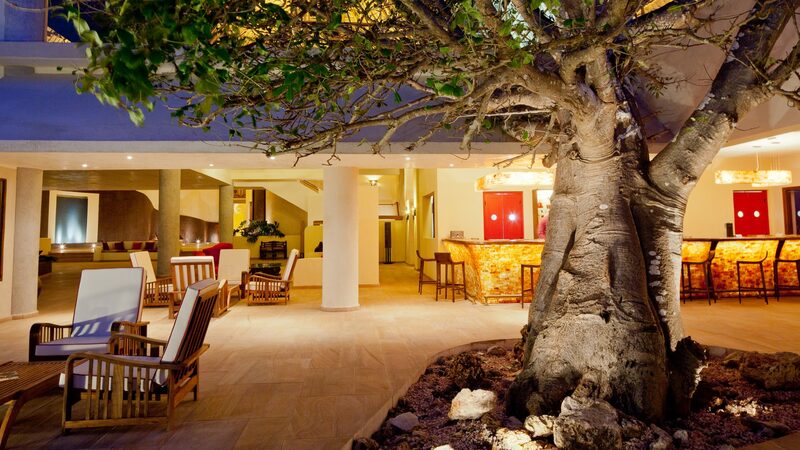 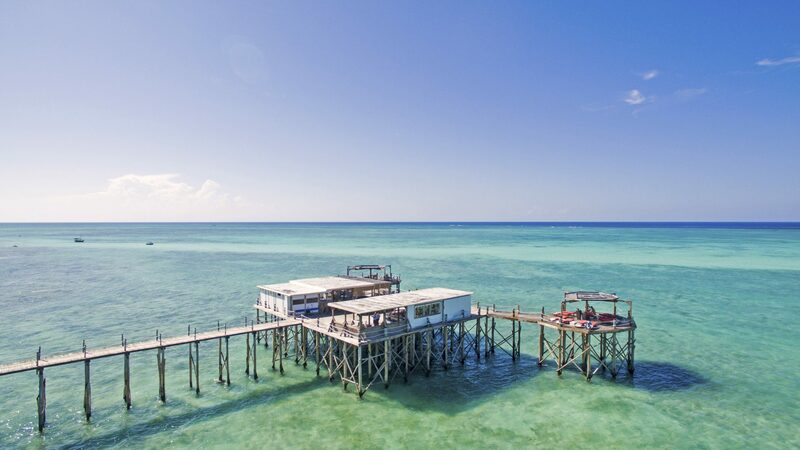 This boutique hotel has the turquoise waters of the Indian Ocean to one side and lush green forest to the other, and there is just a hint of spice in the warm and fragrant tropical air. 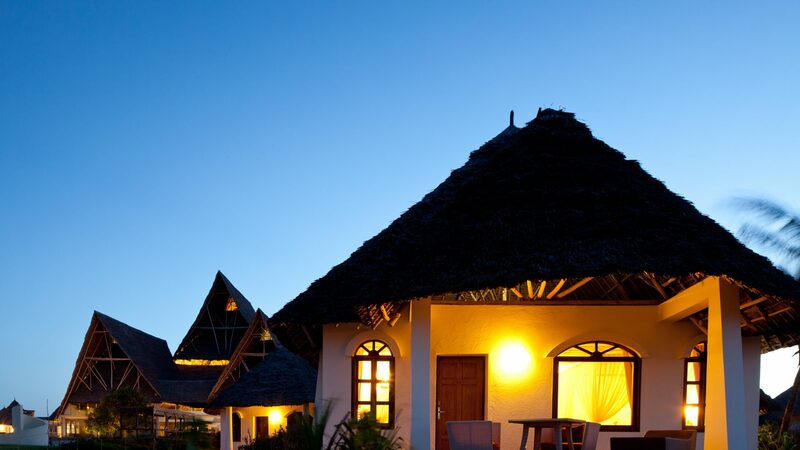 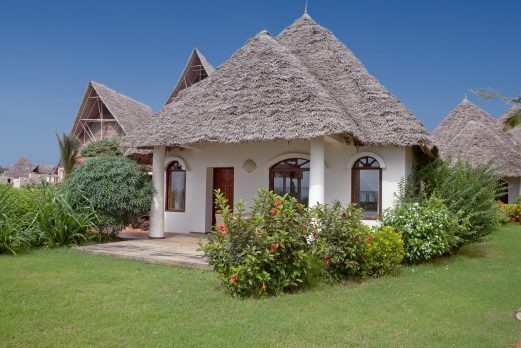 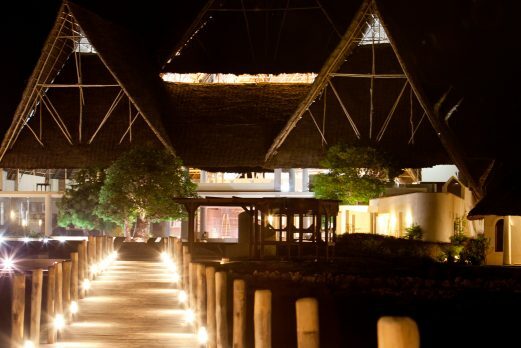 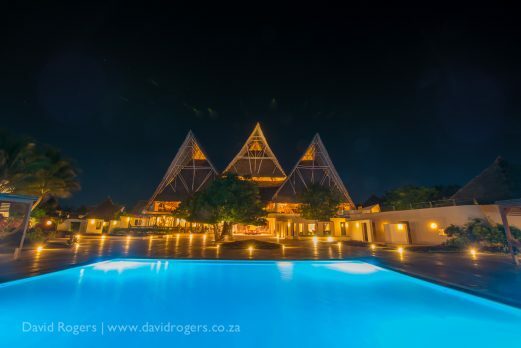 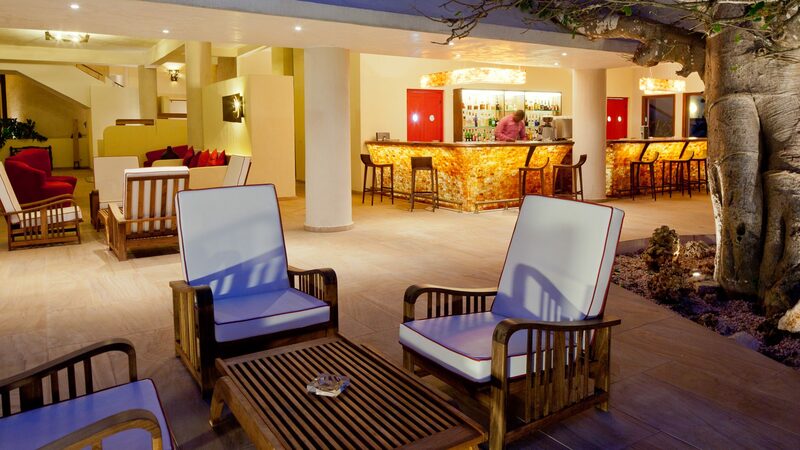 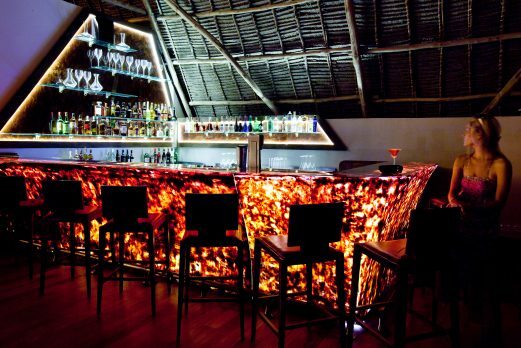 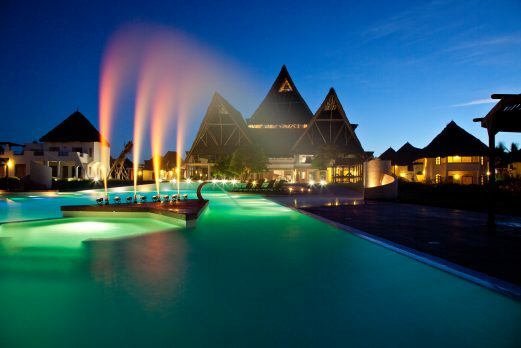 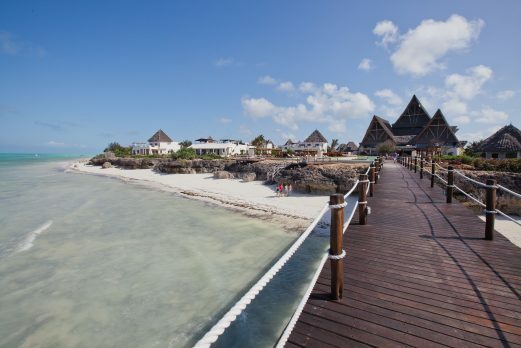 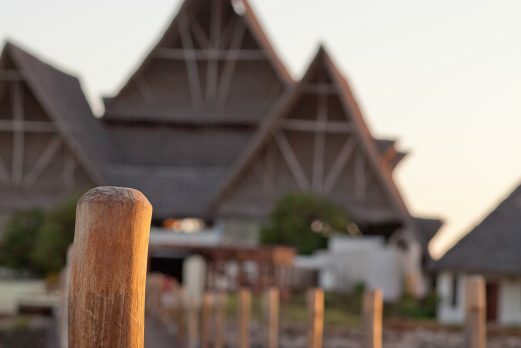 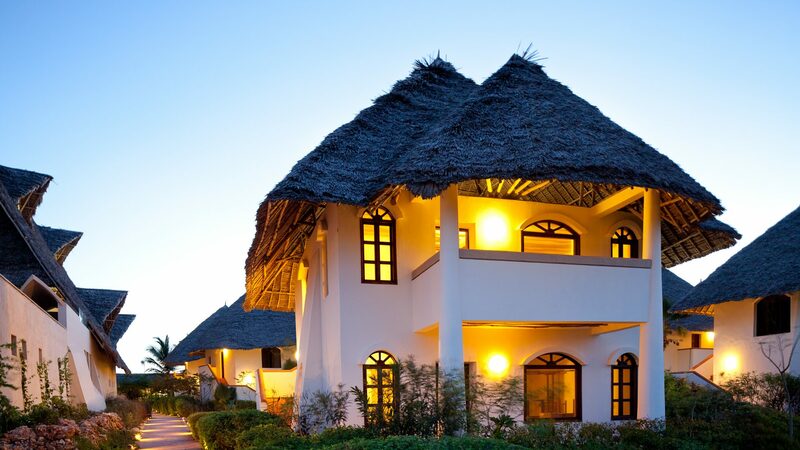 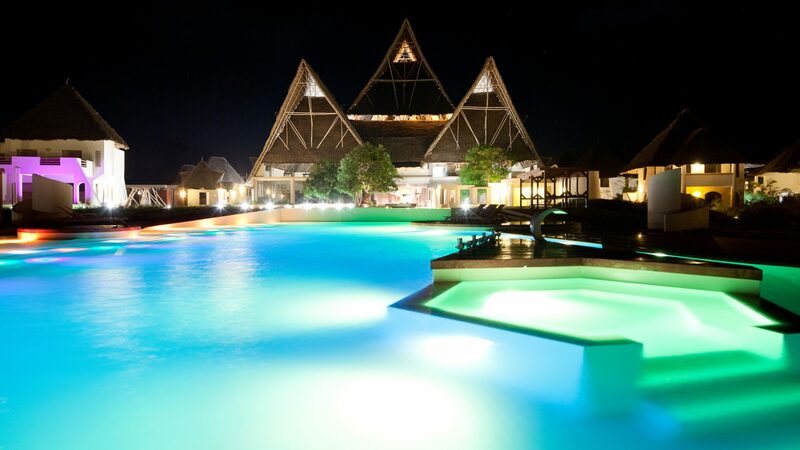 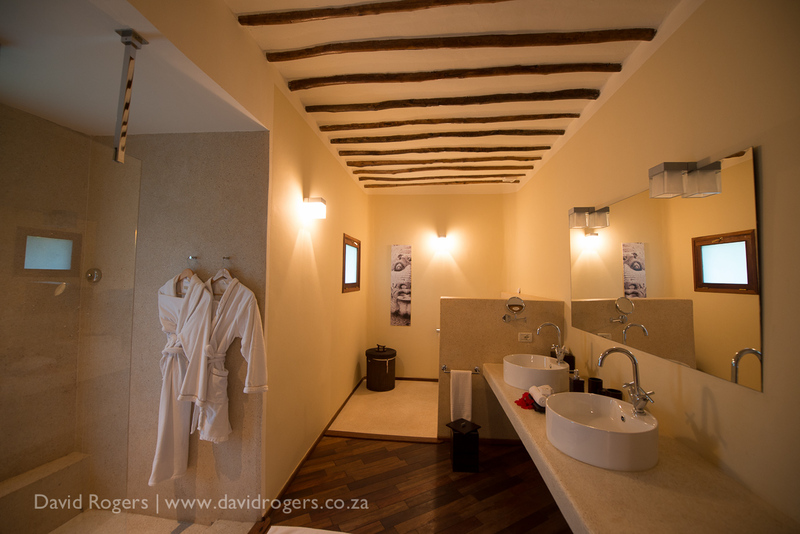 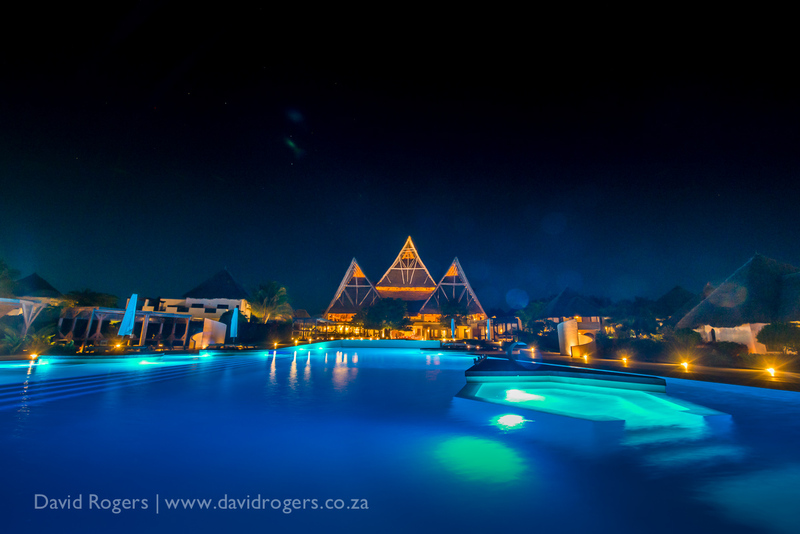 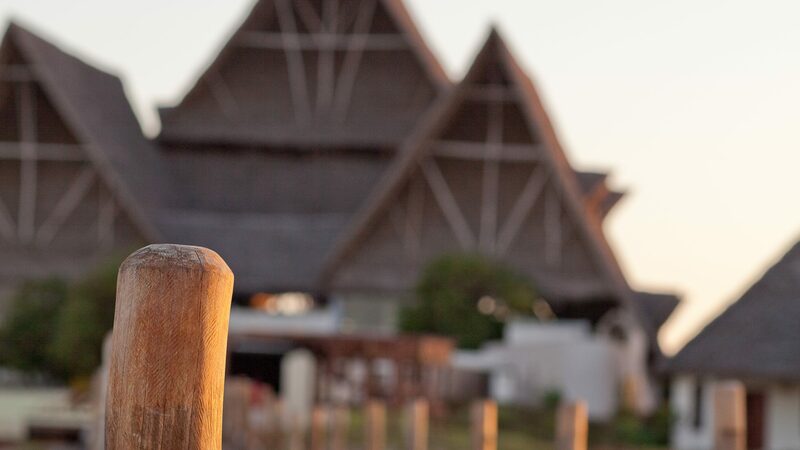 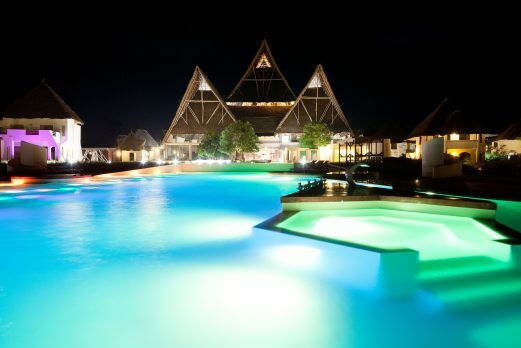 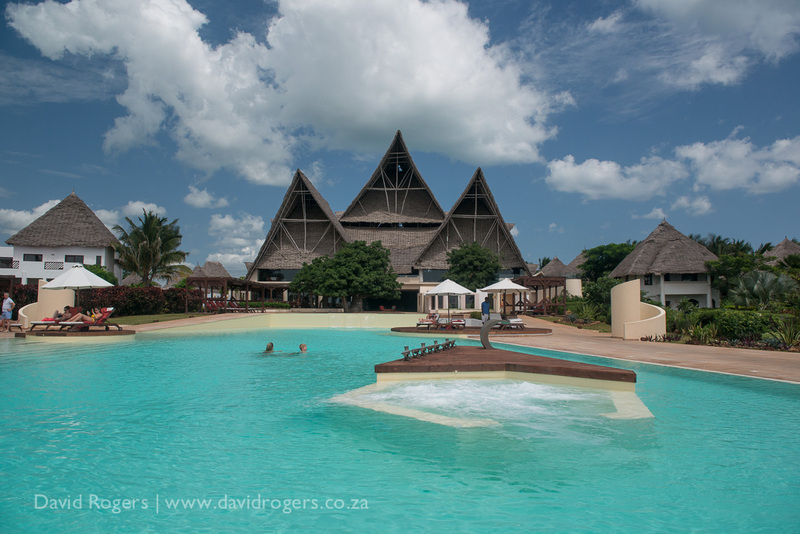 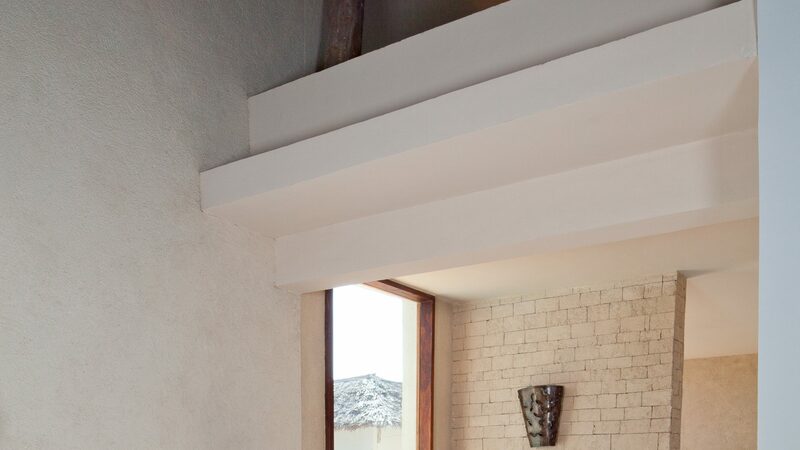 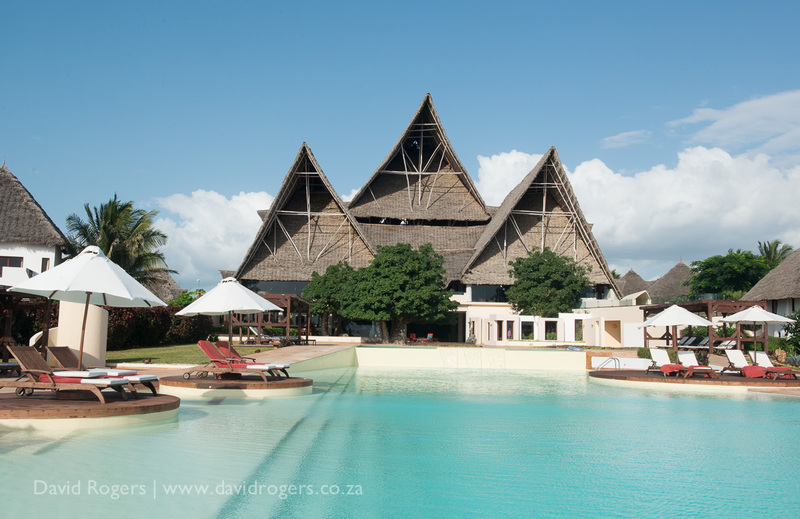 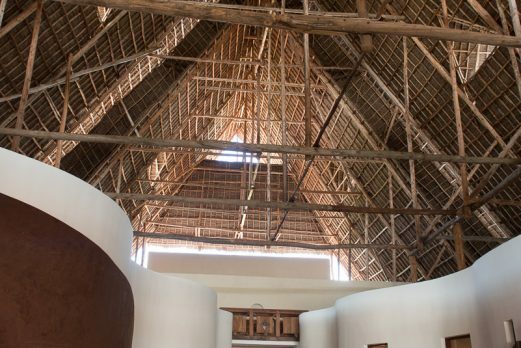 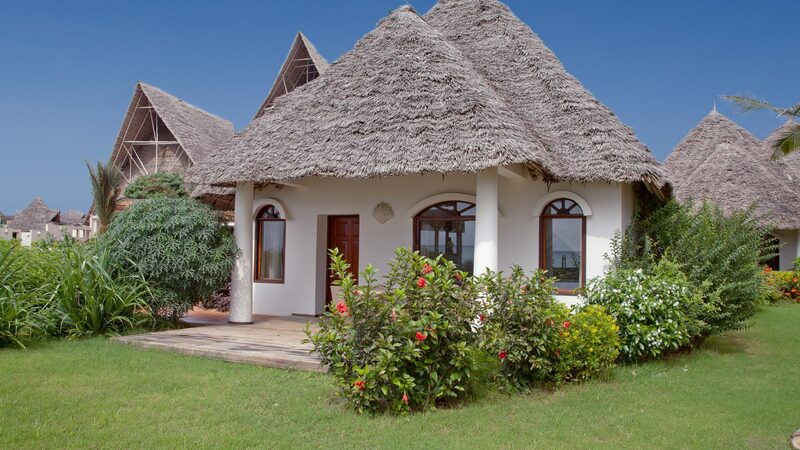 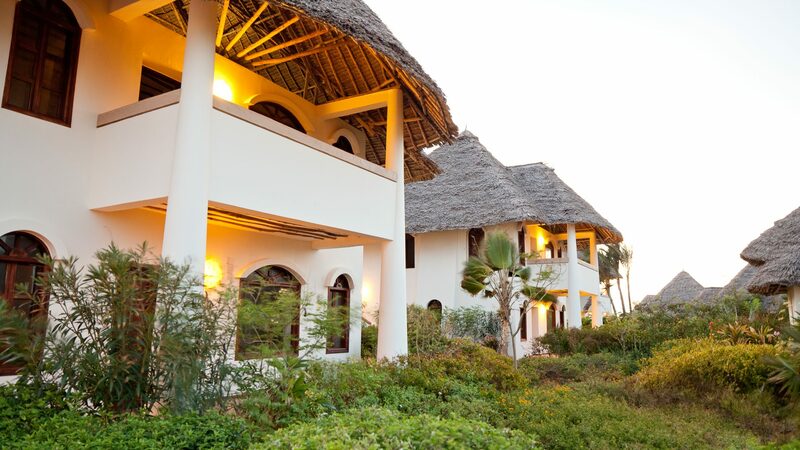 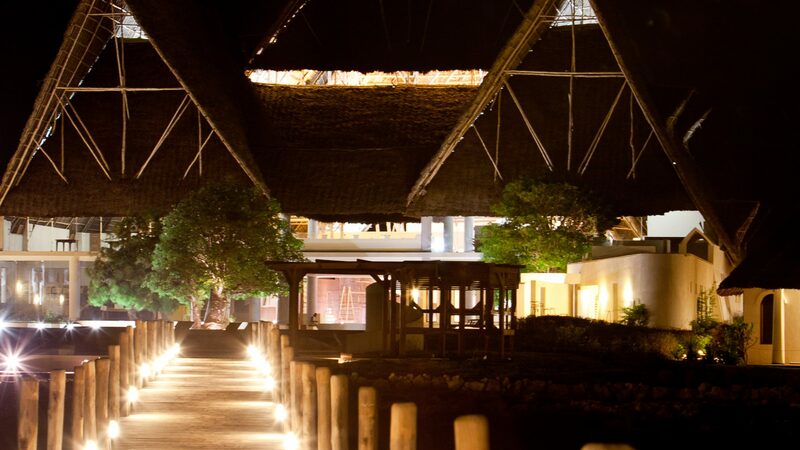 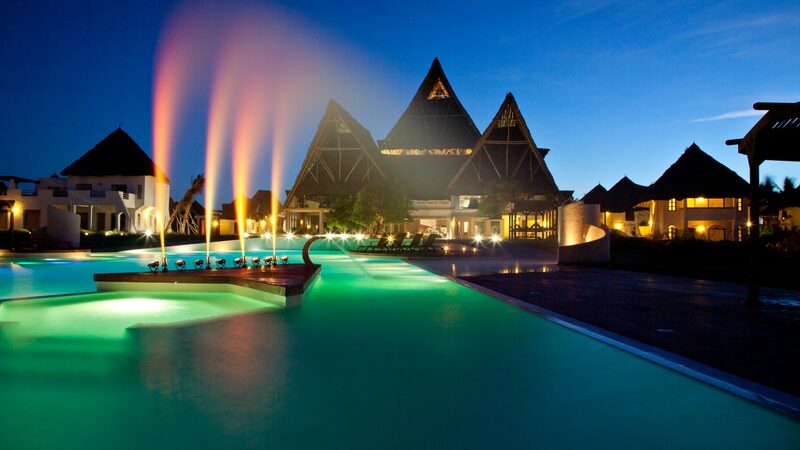 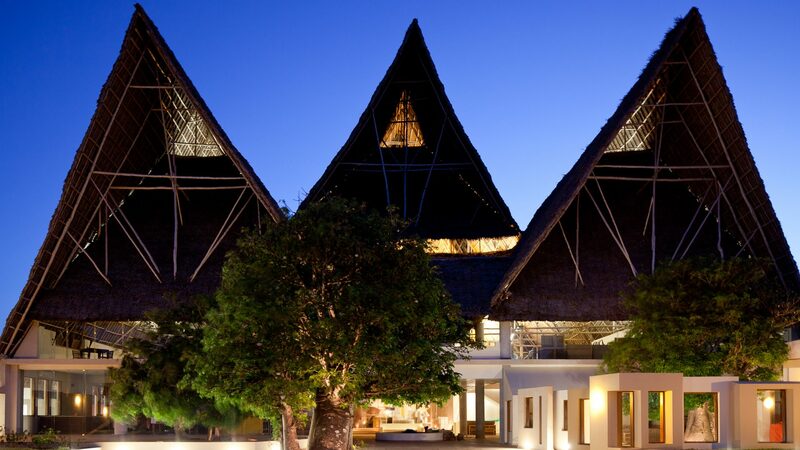 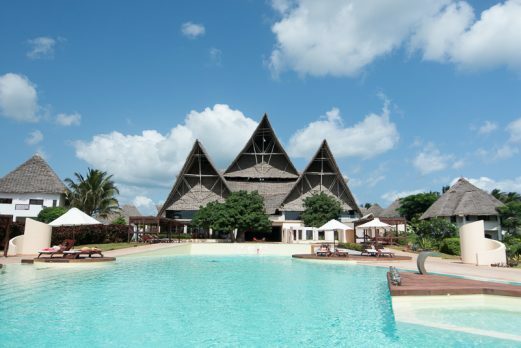 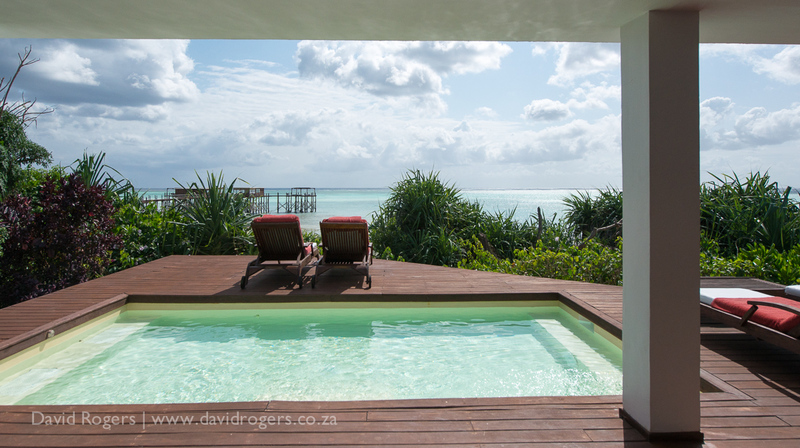 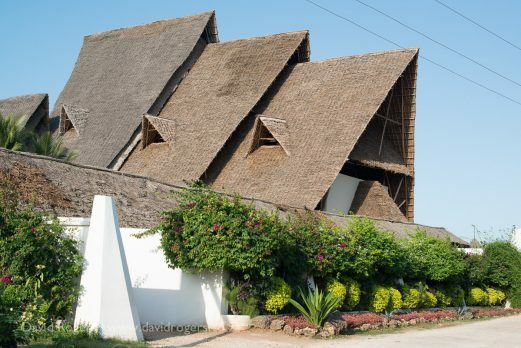 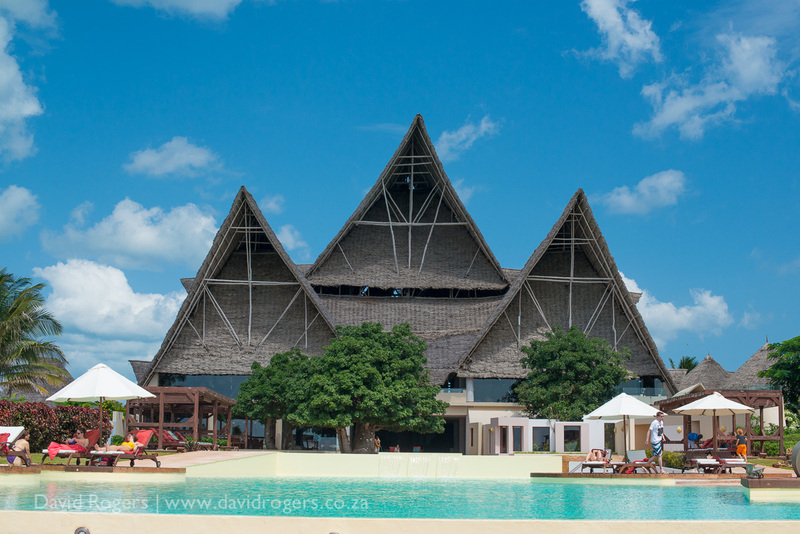 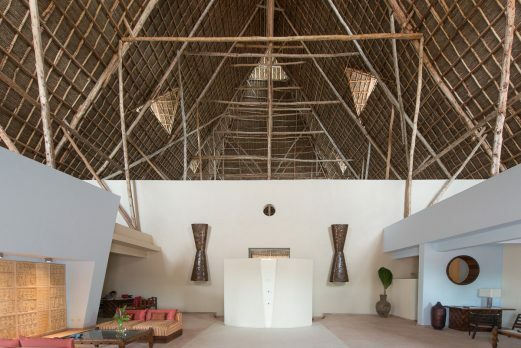 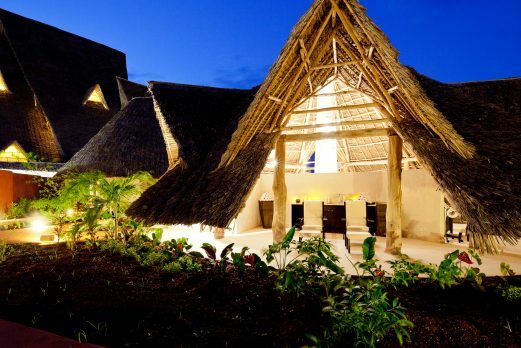 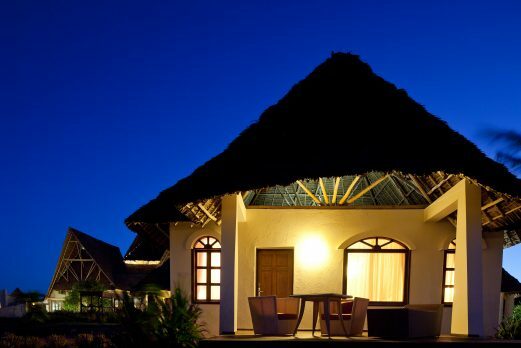 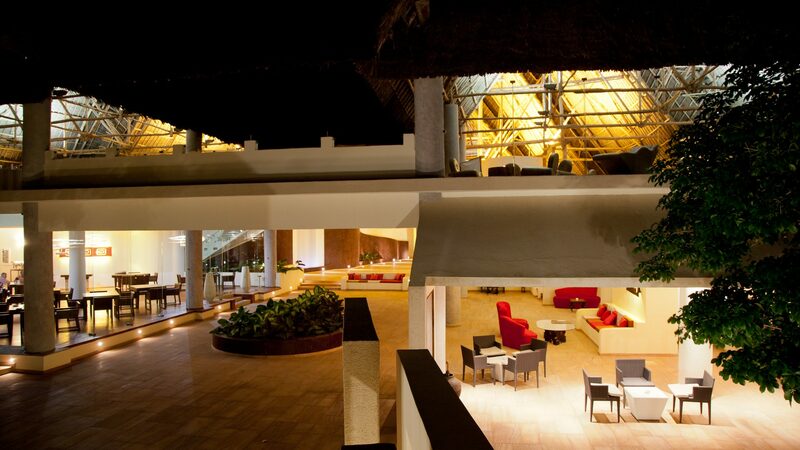 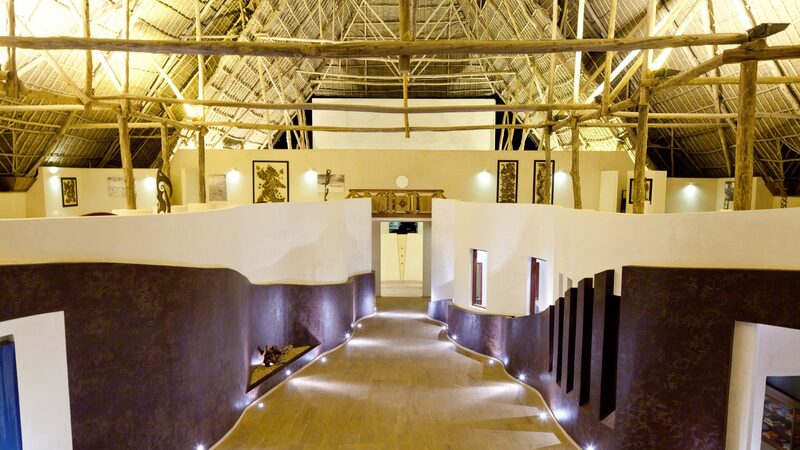 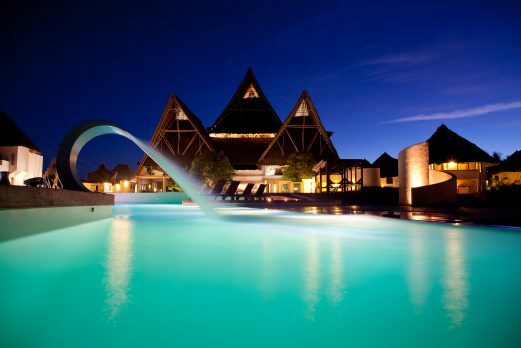 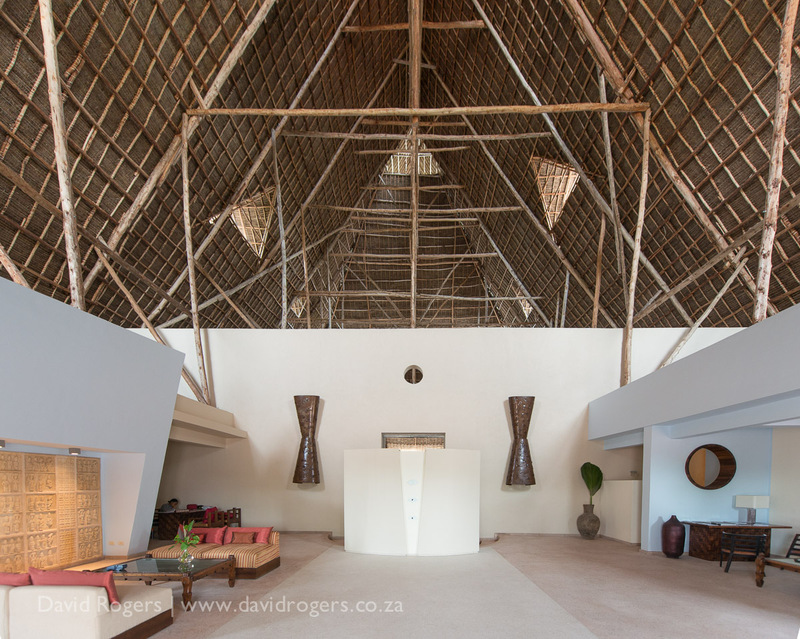 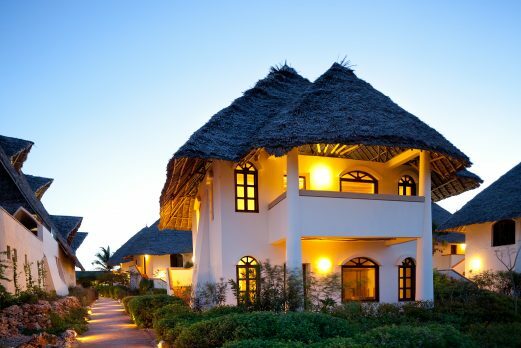 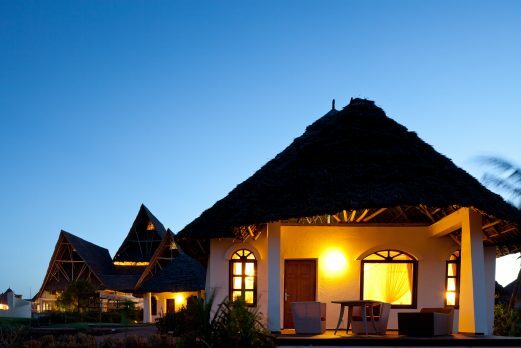 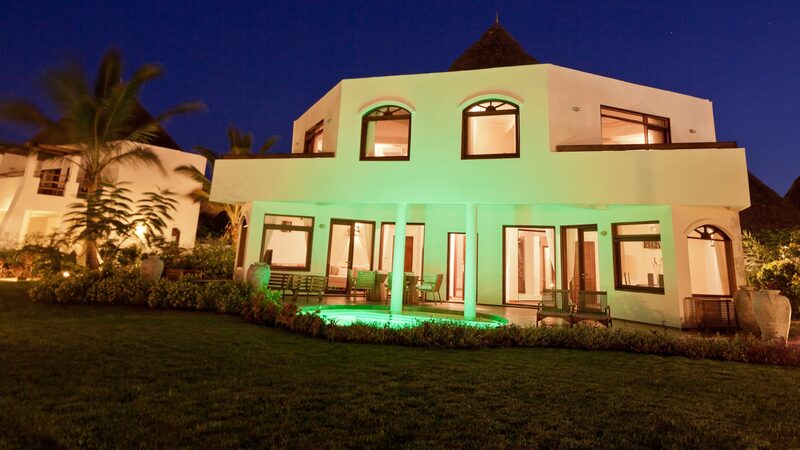 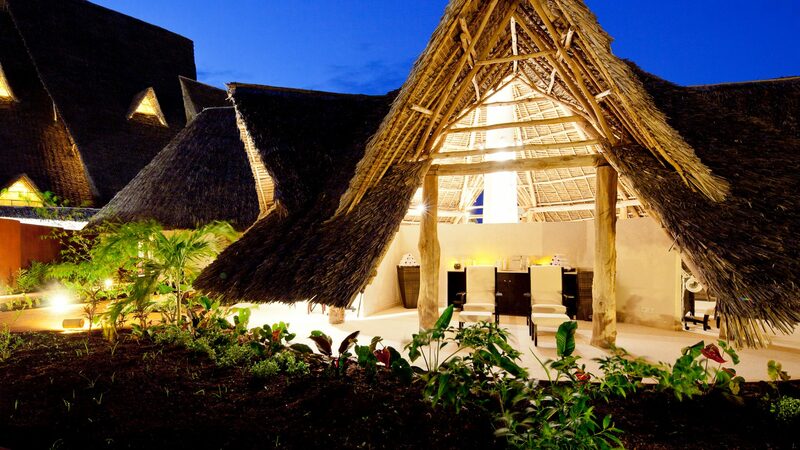 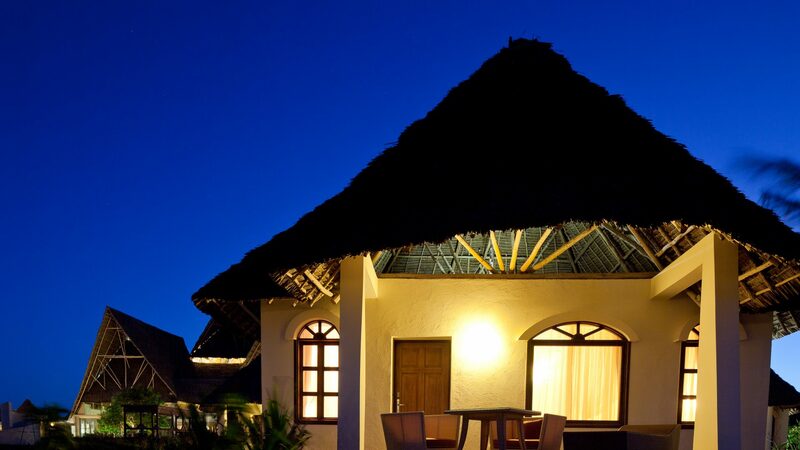 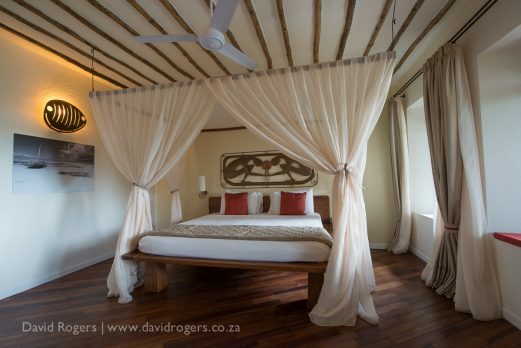 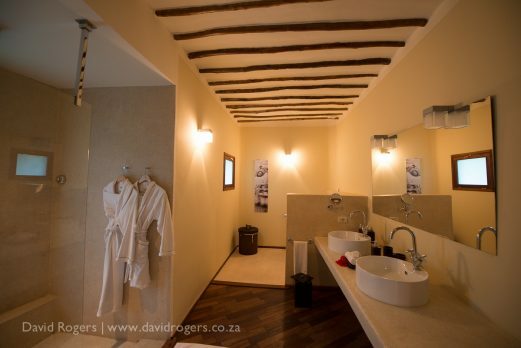 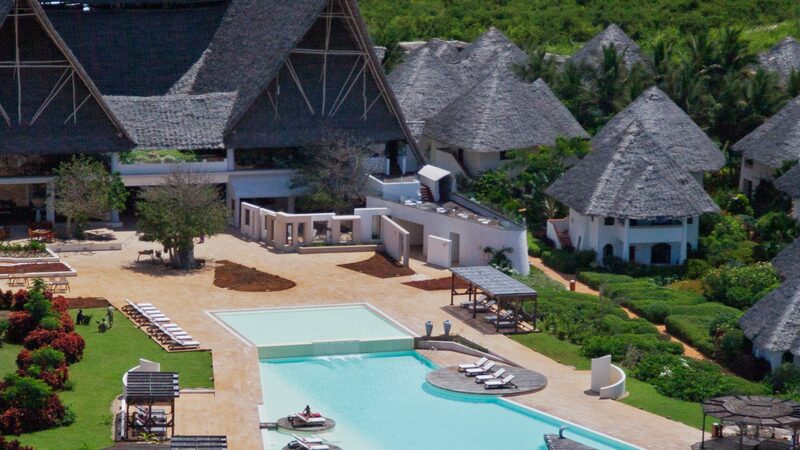 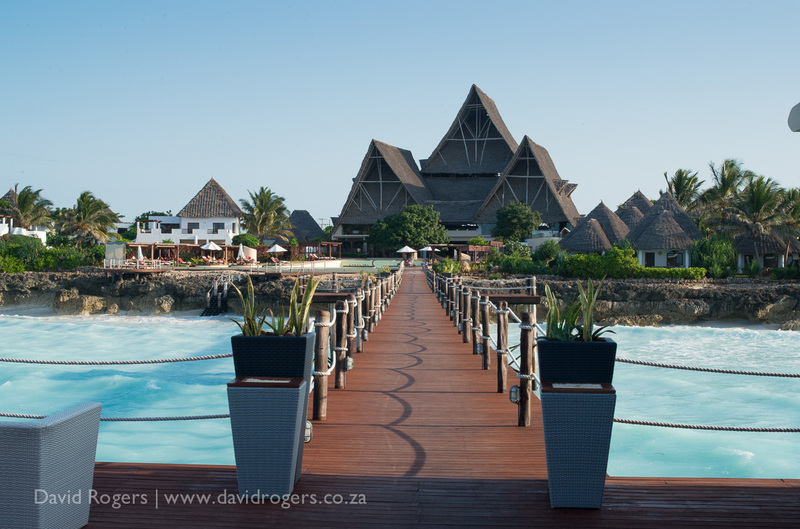 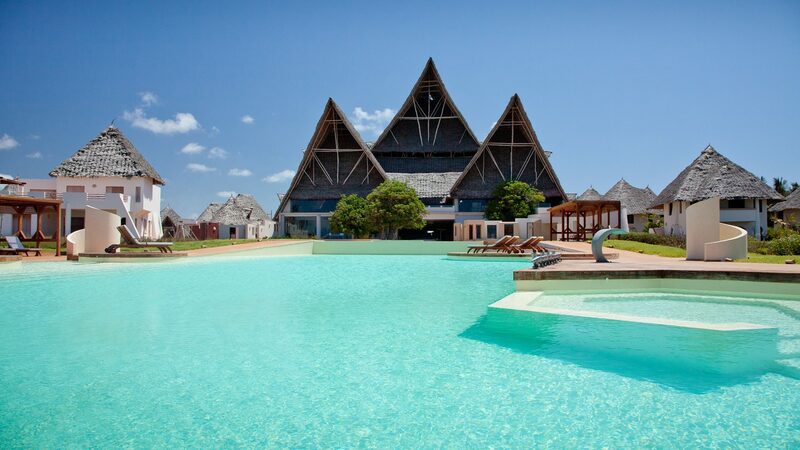 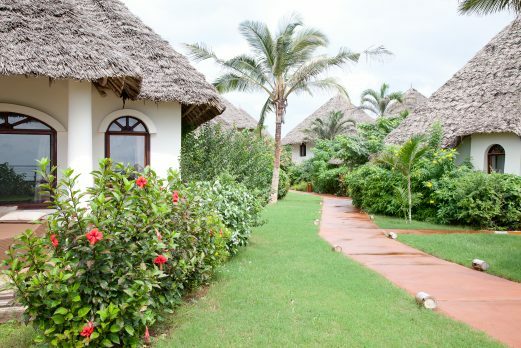 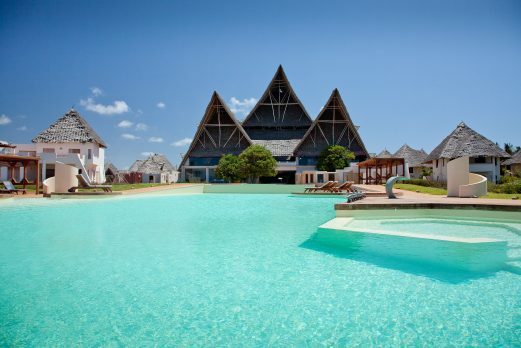 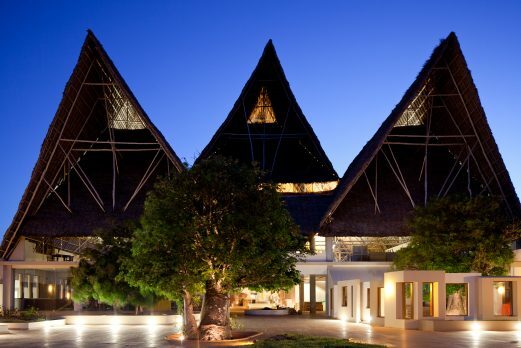 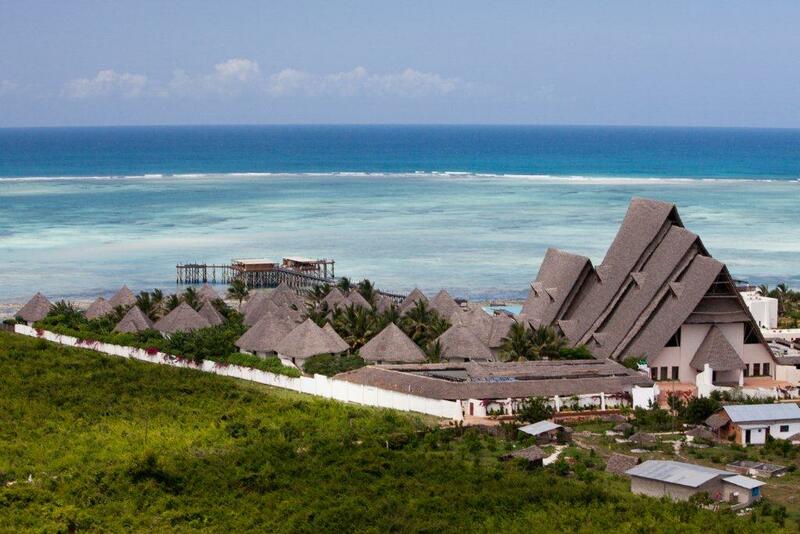 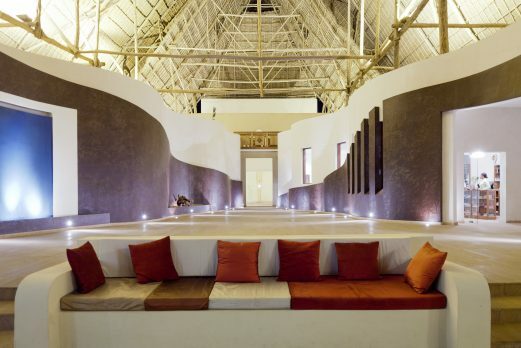 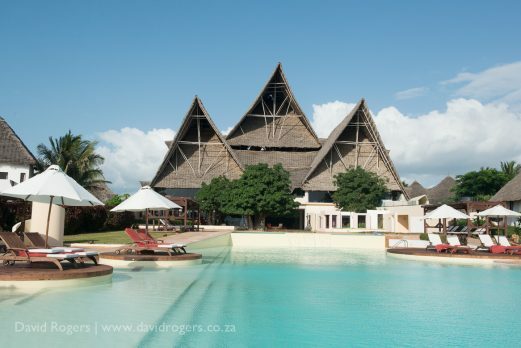 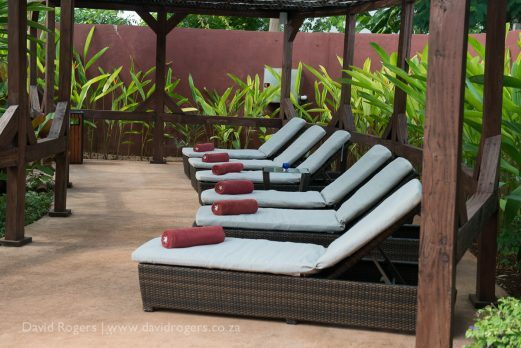 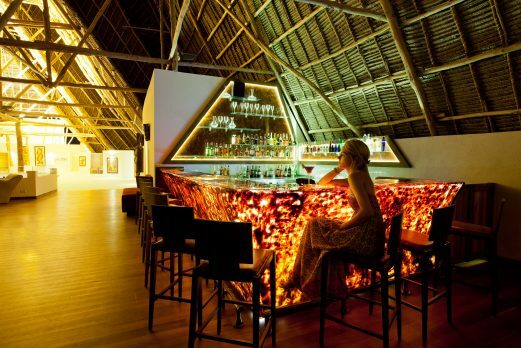 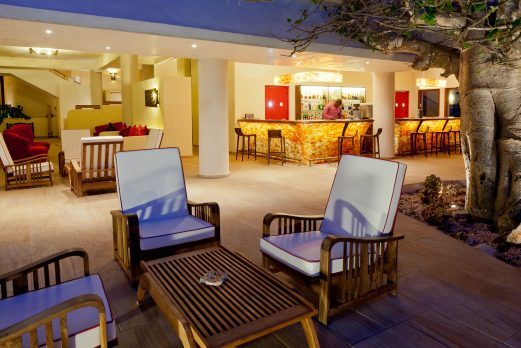 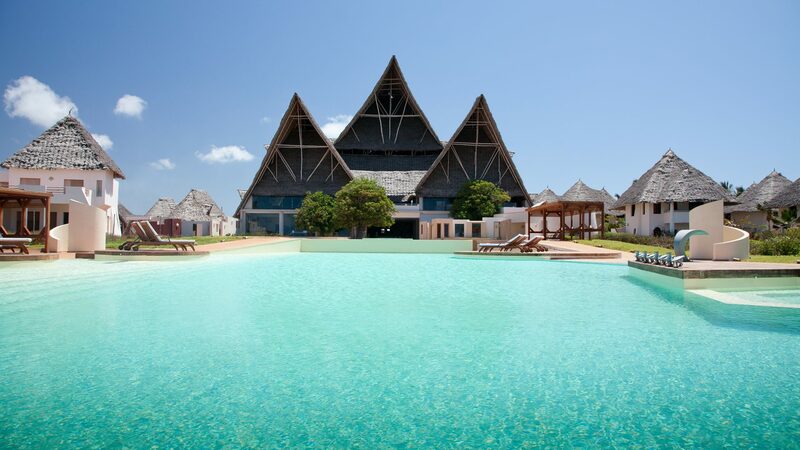 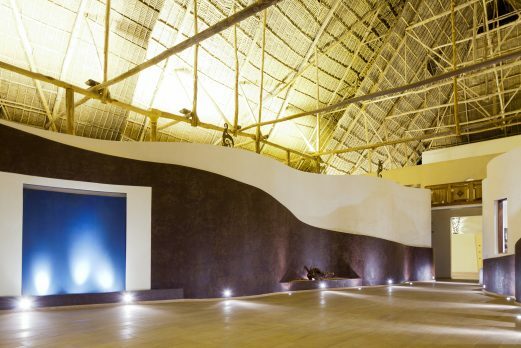 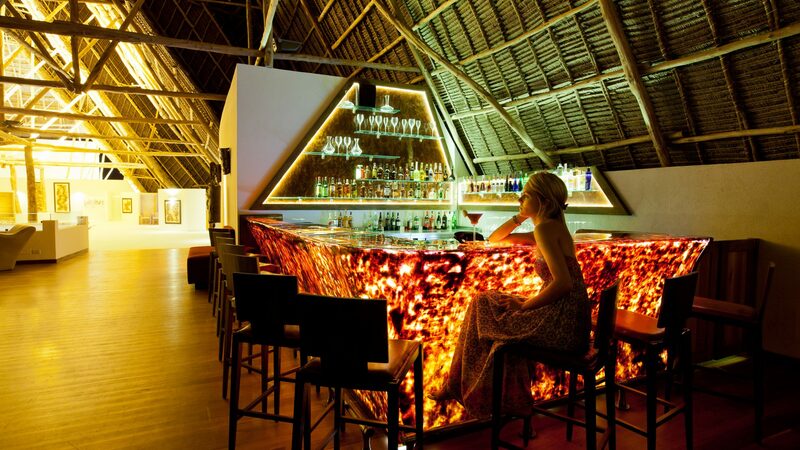 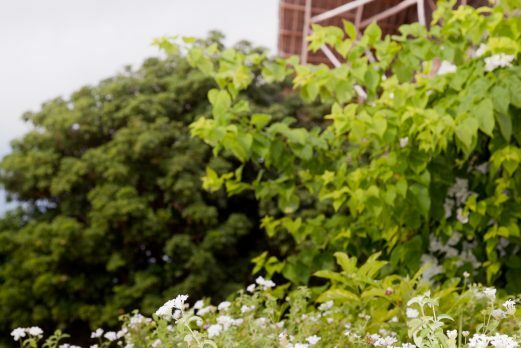 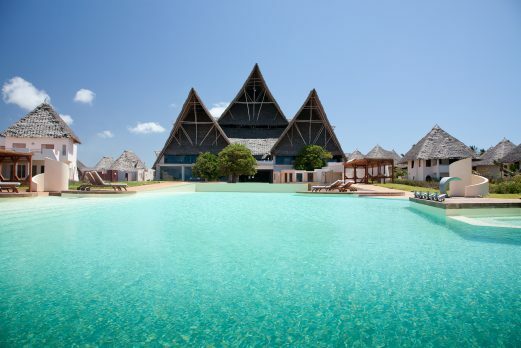 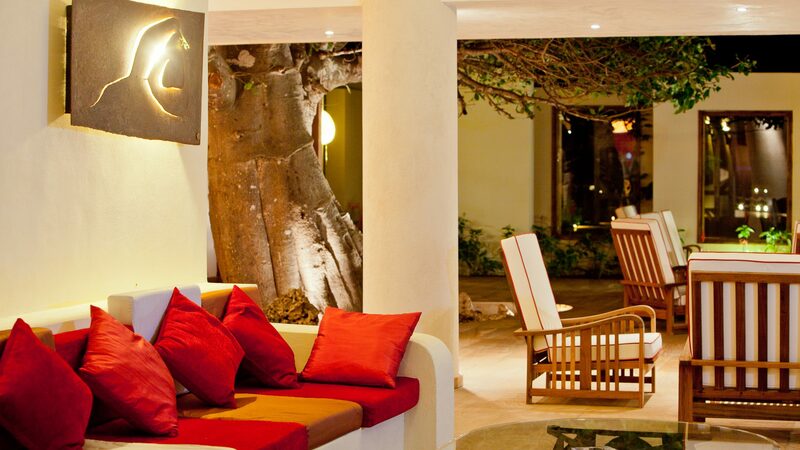 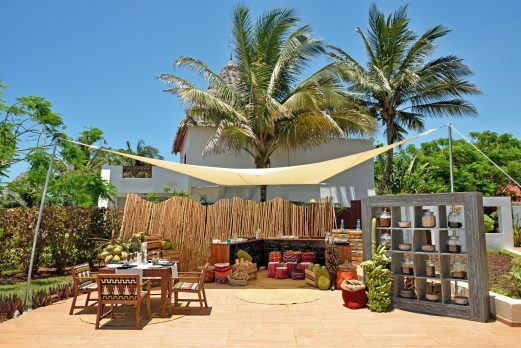 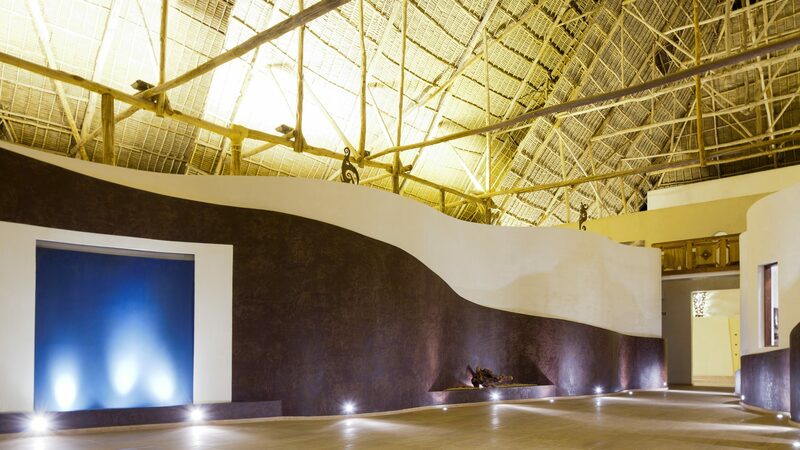 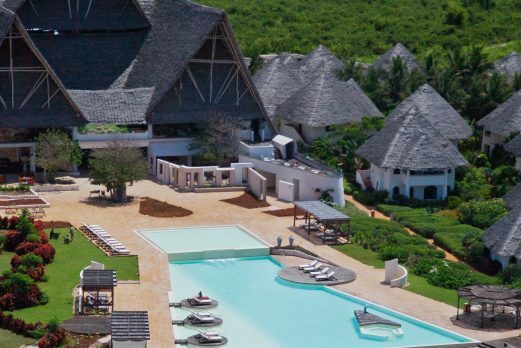 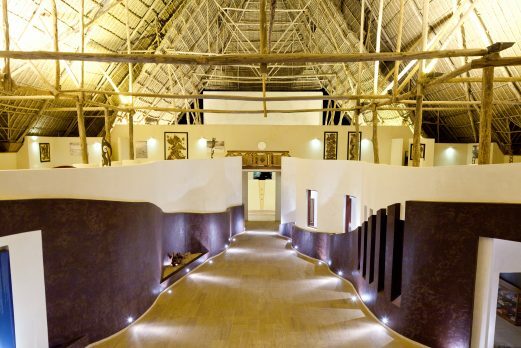 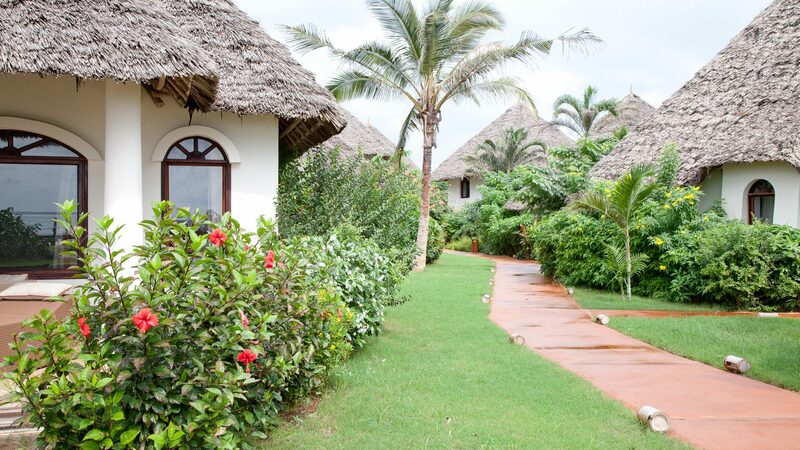 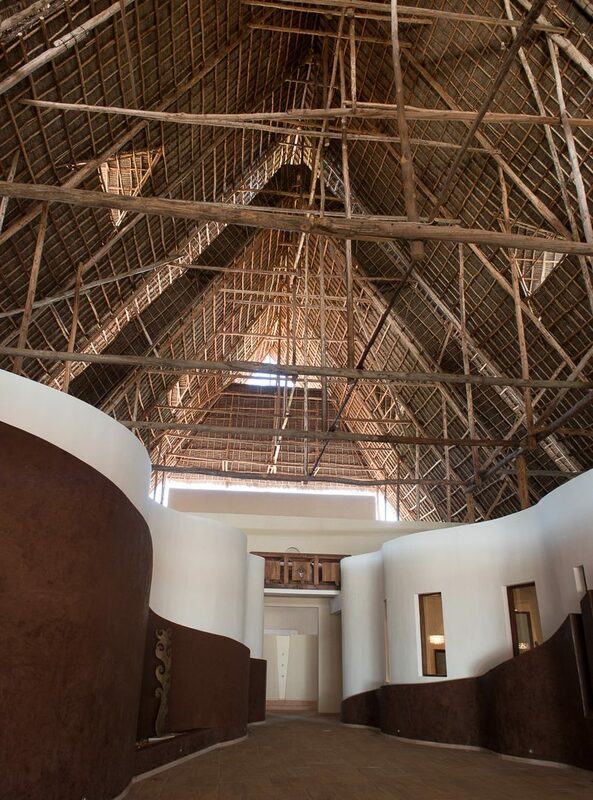 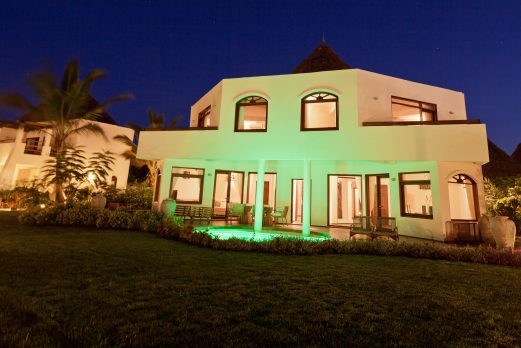 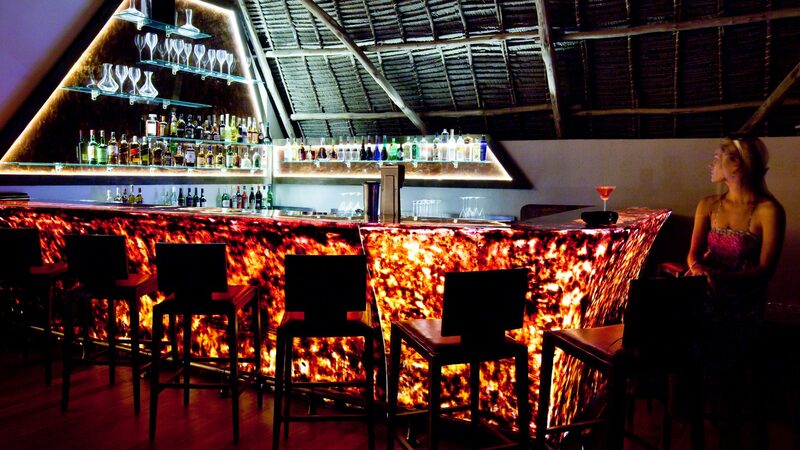 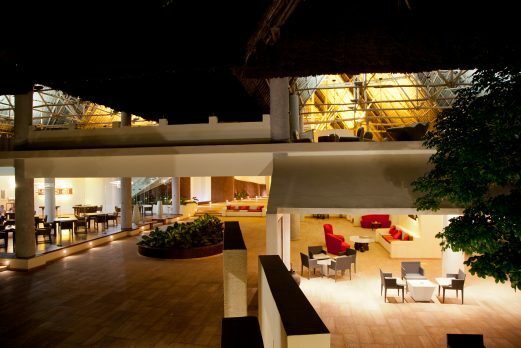 Built in the local style to blend into the landscape, the thatched roofs reflect the modern African feel. 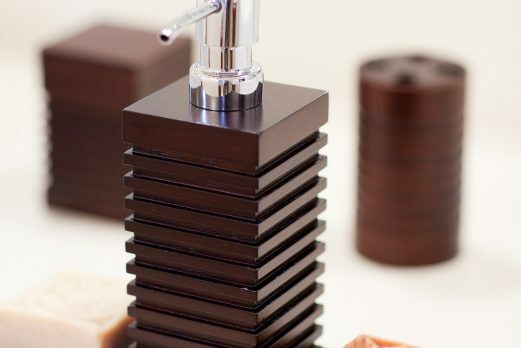 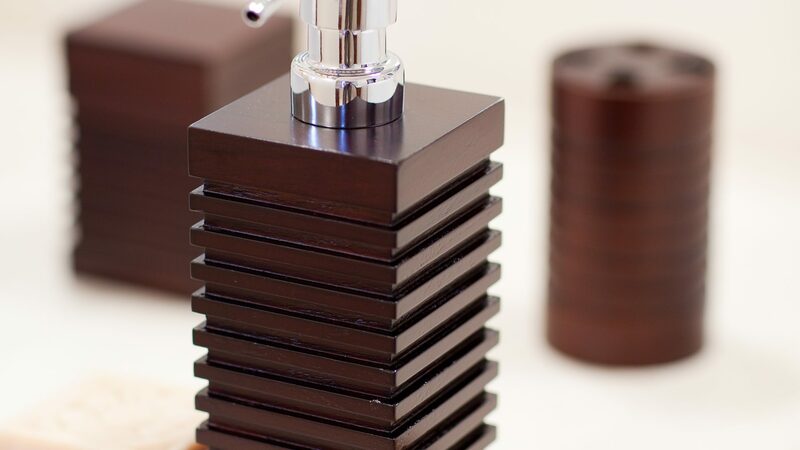 Minimalist décor enhances the sense that luxury is no longer just about material wealth, but has more to do with time and choice. 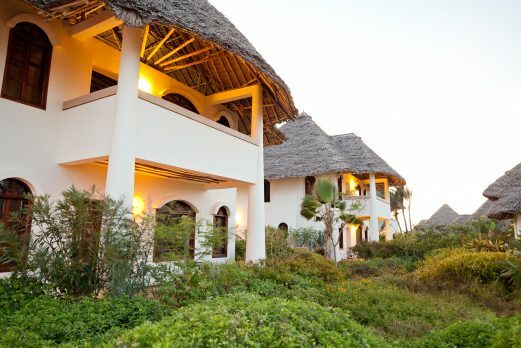 A member of the prestigious Preferred Boutique Collection group, the hotel has just 40 suites and 9 three and four-bedroom villas, making it easy for staff to offer a bespoke and personalised service to their guests. 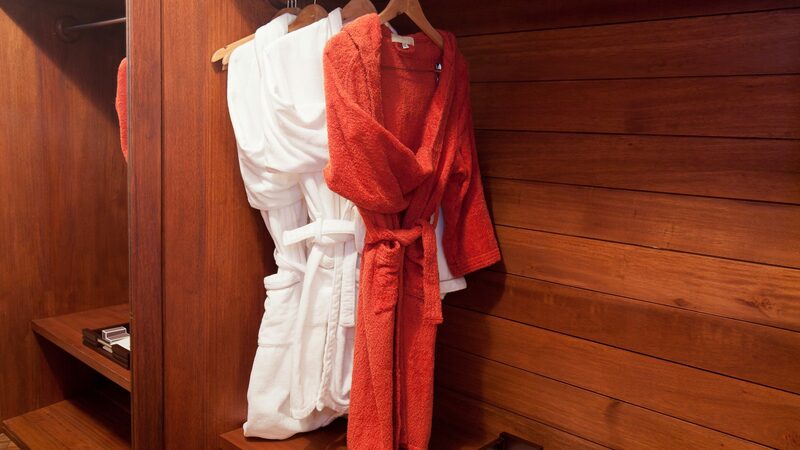 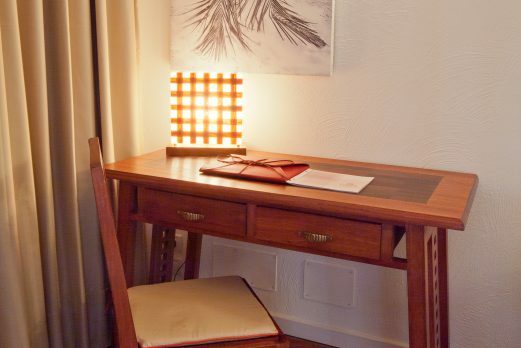 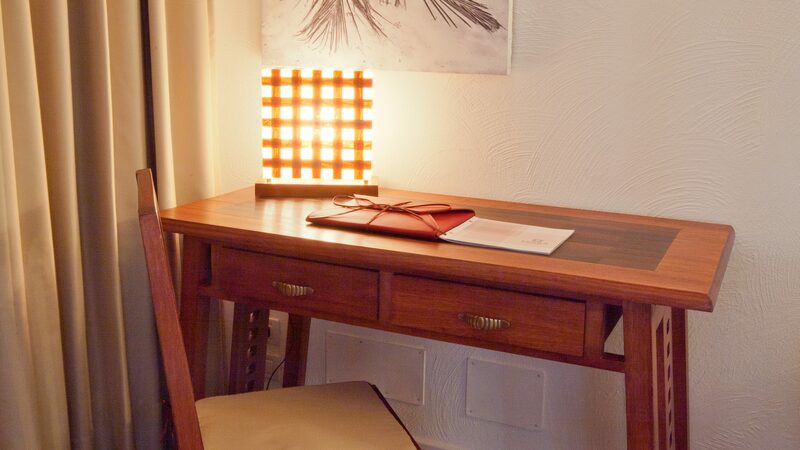 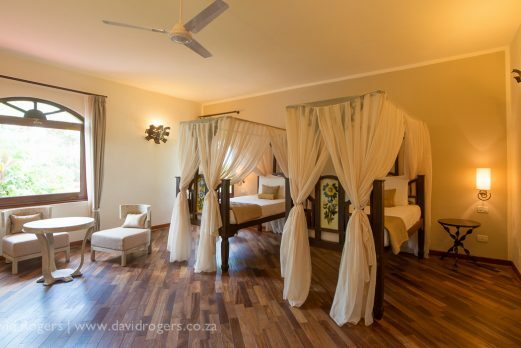 And forget arduous hotel check-ins; any formalities will be completed at guests’ leisure in the comfort of their own room. 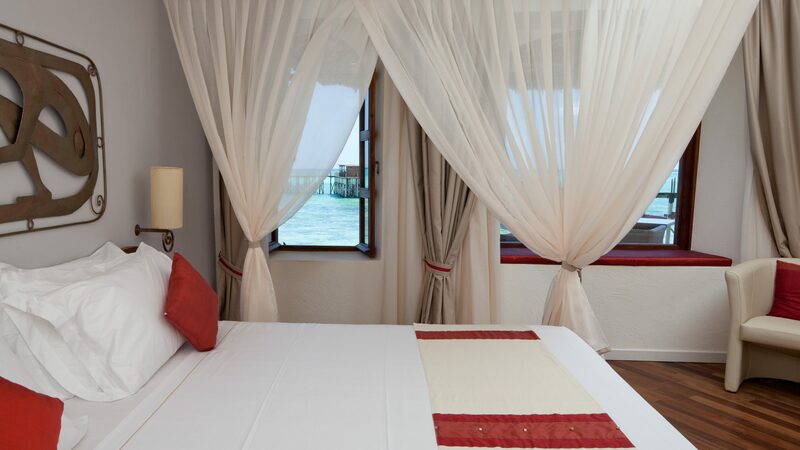 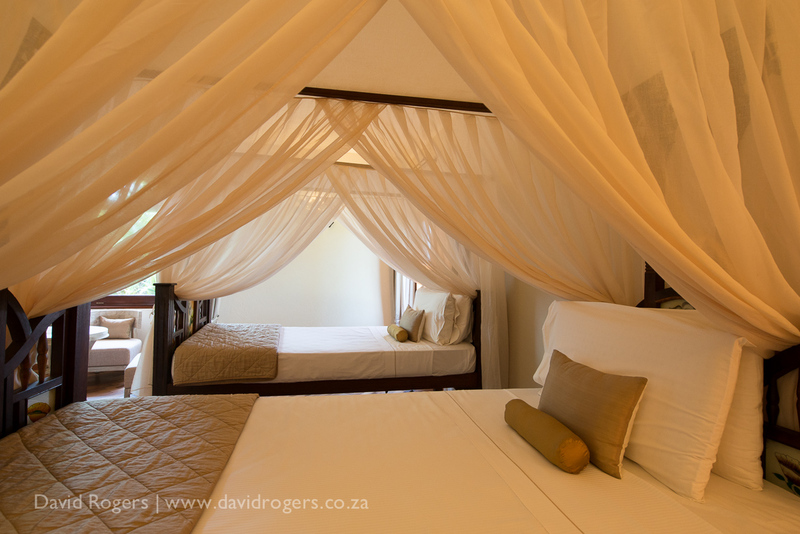 Each suite has a large en-suite master bedroom, a generous lounge and outside terrace or balcony overlooking the gardens, pool or ocean. 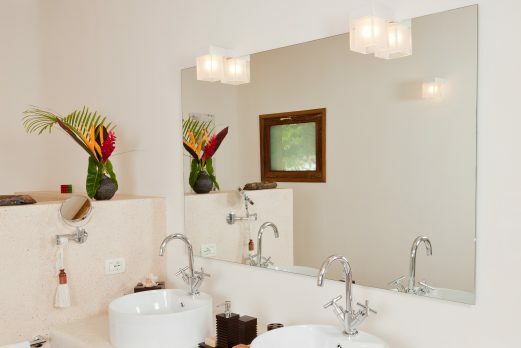 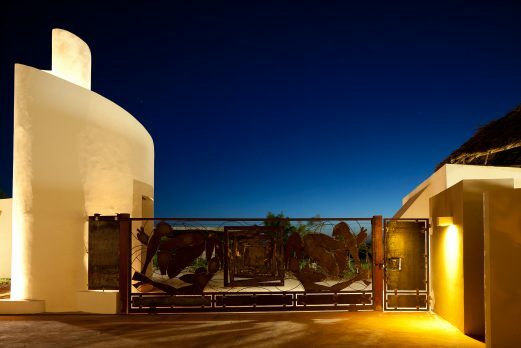 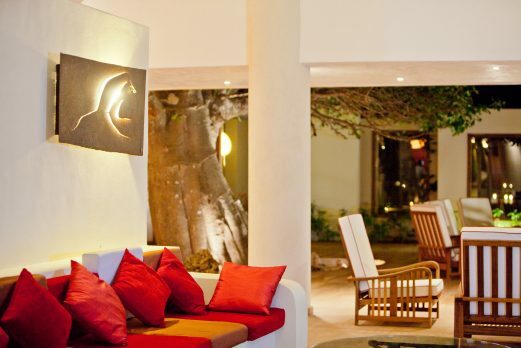 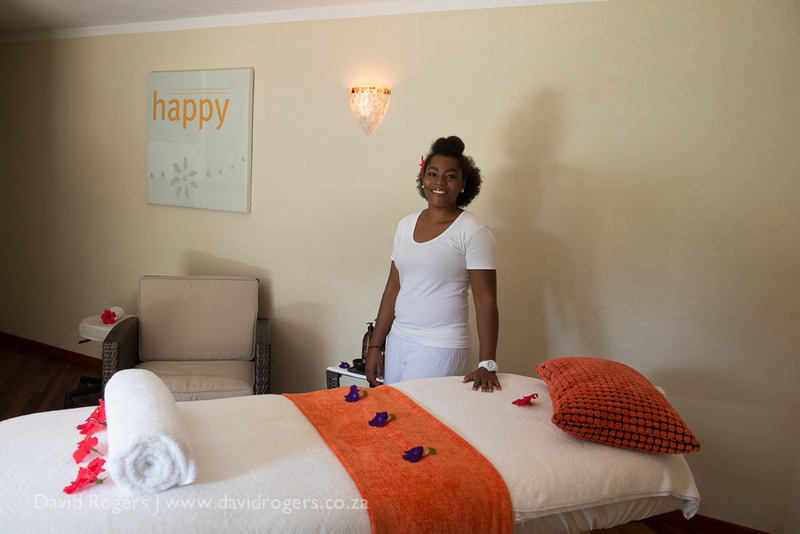 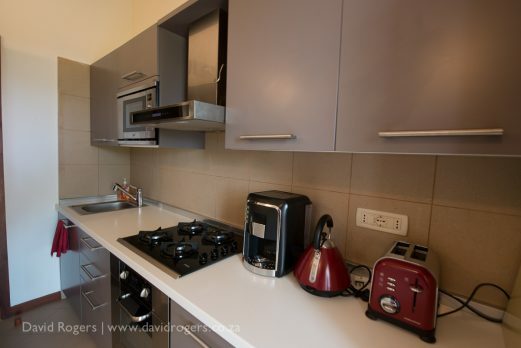 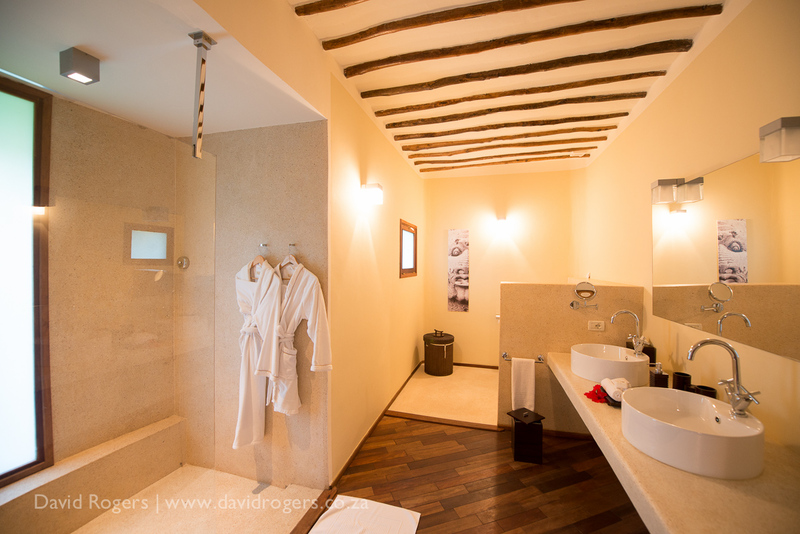 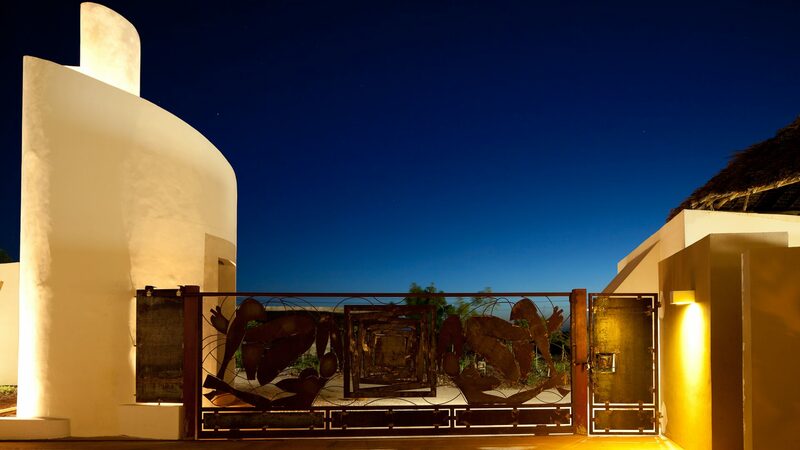 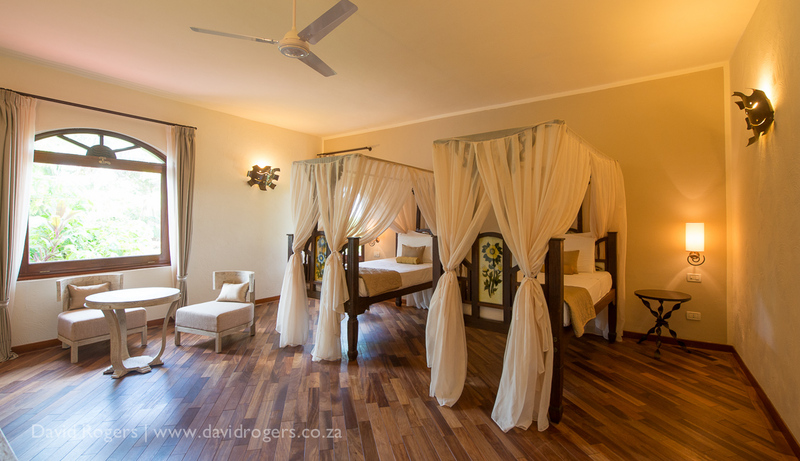 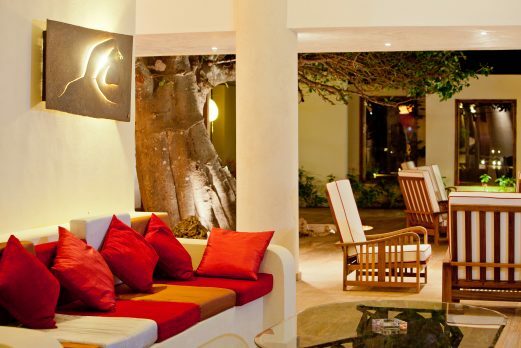 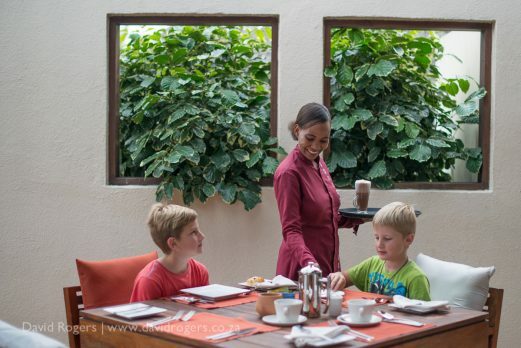 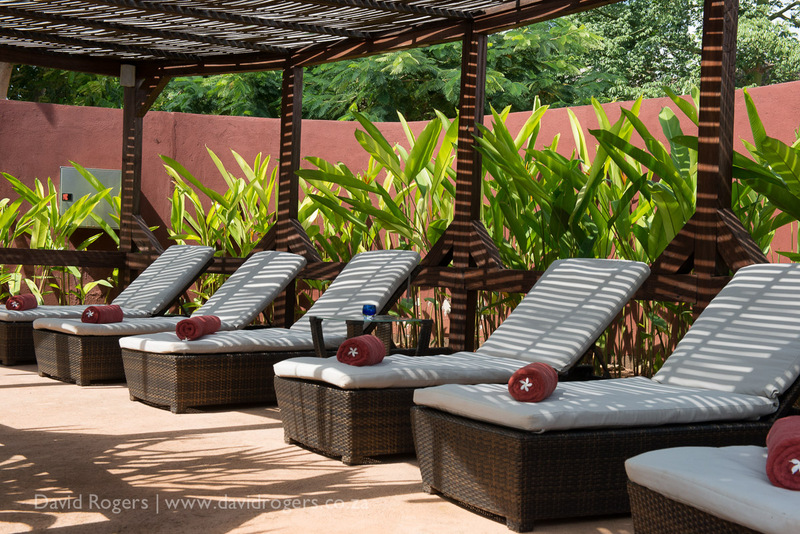 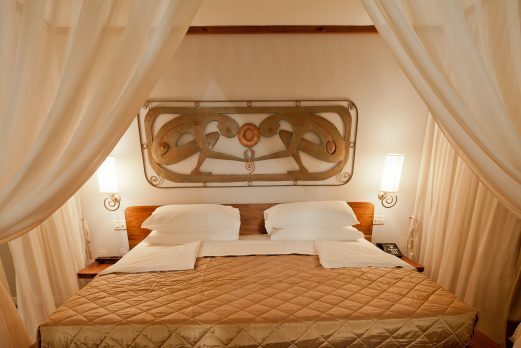 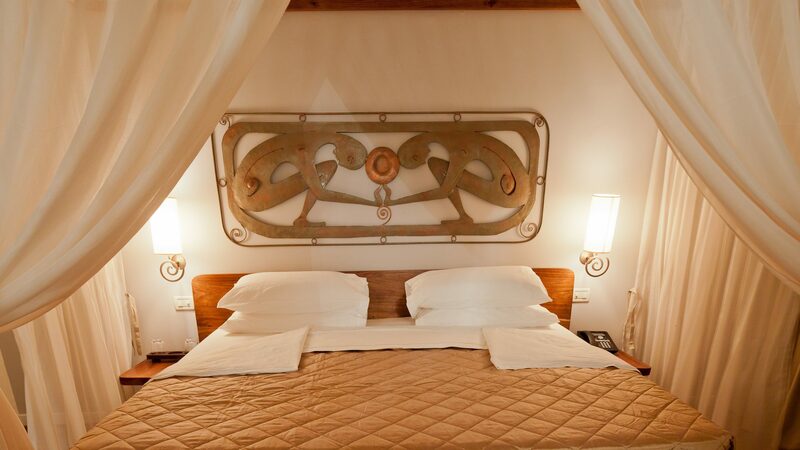 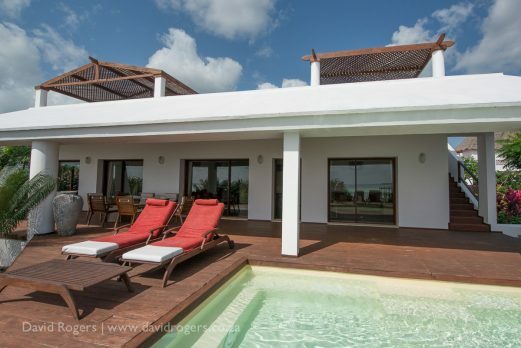 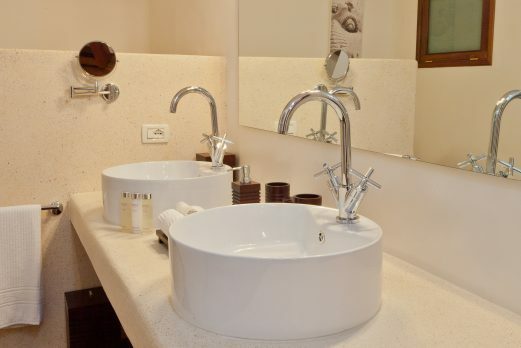 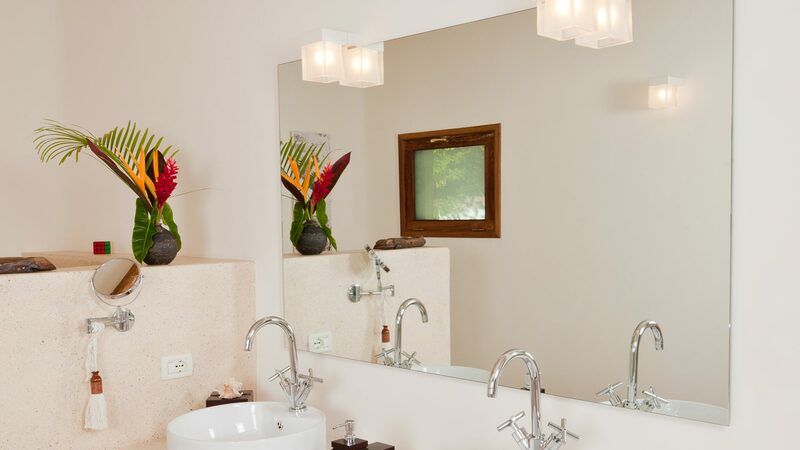 Each villa also has its own private pool and massage room as well as dining facilities where guests can prepare their own meals, or ‘dial a chef’ to create an in-room masterpiece. 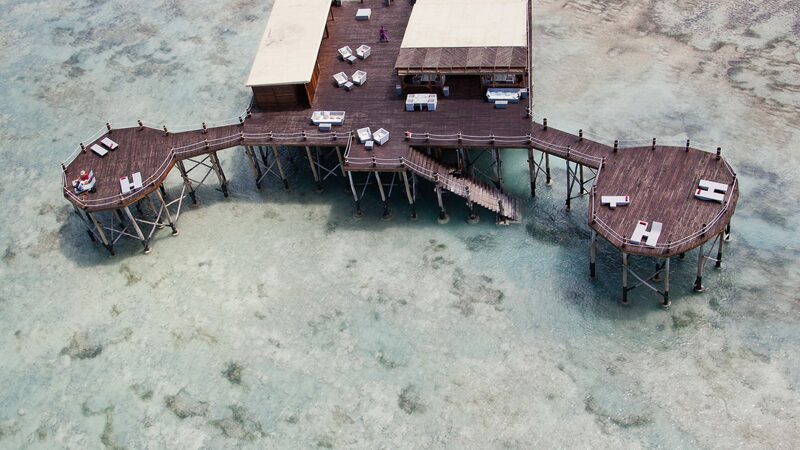 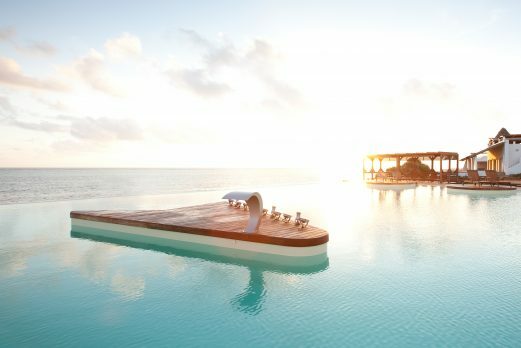 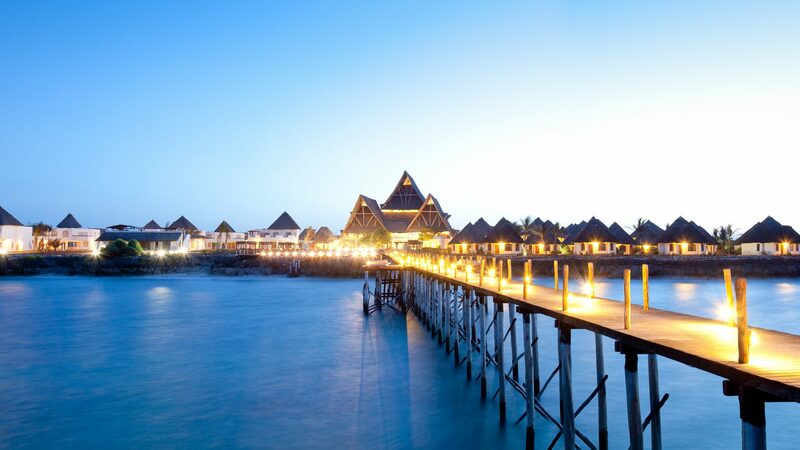 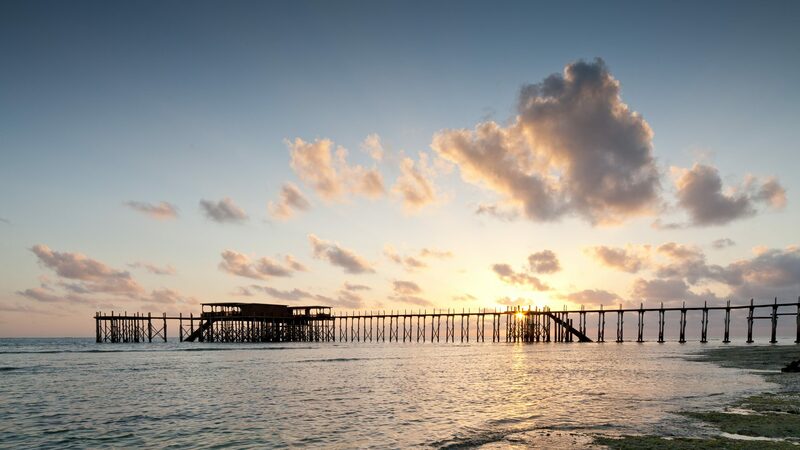 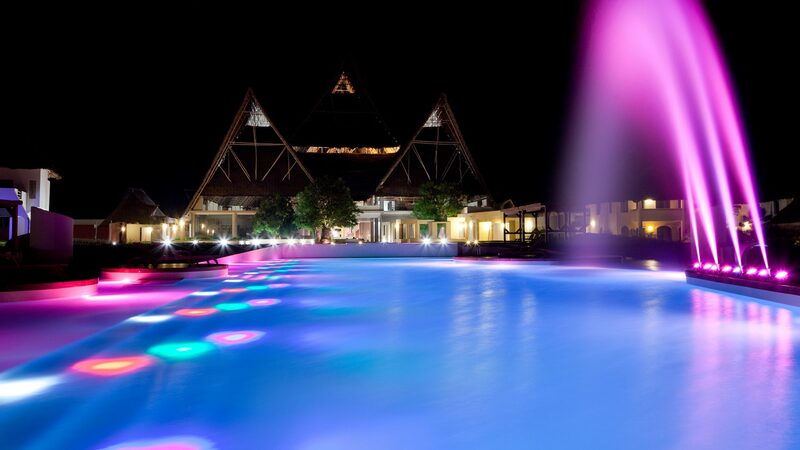 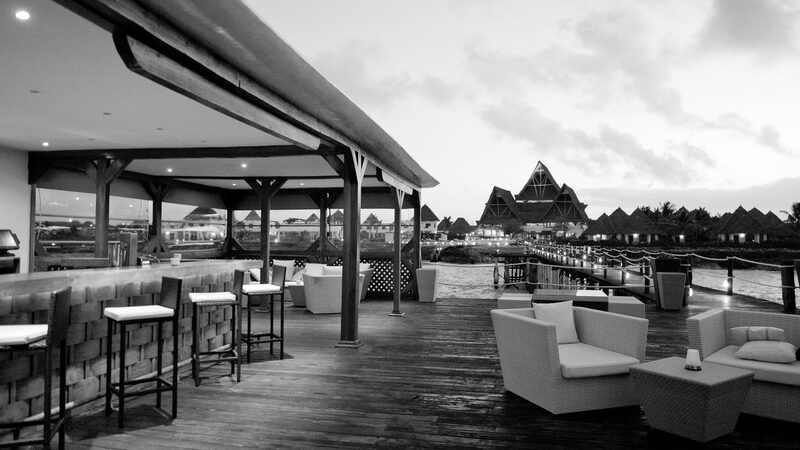 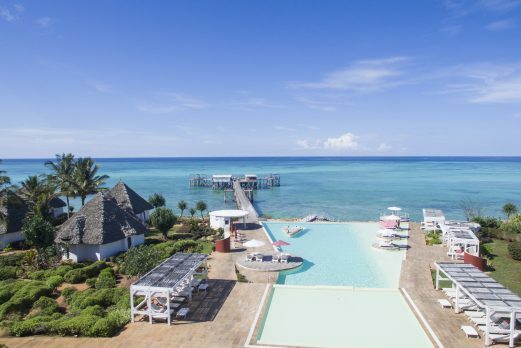 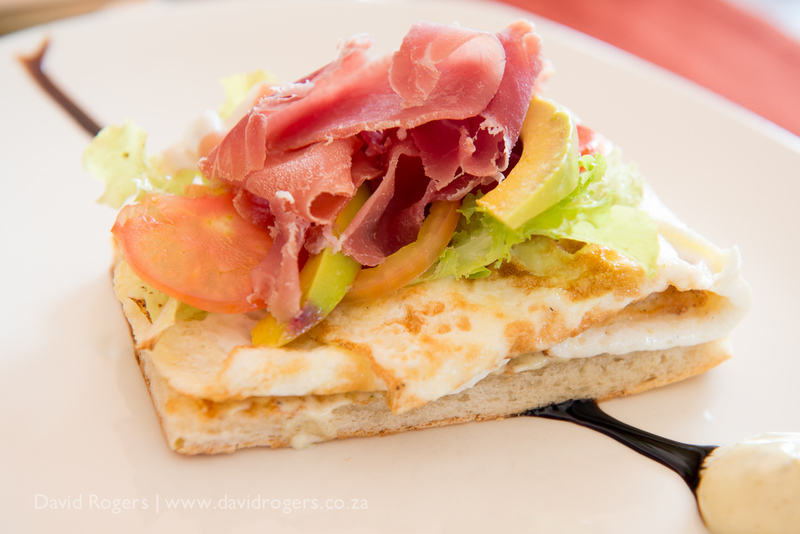 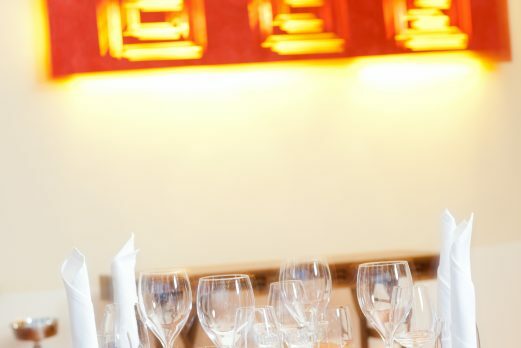 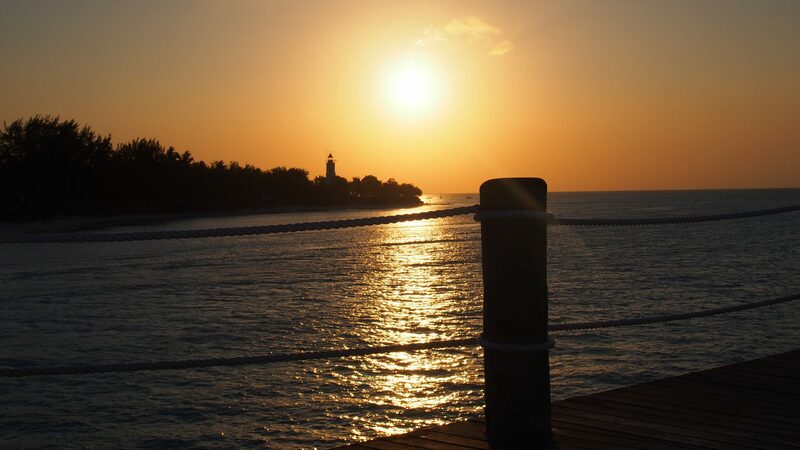 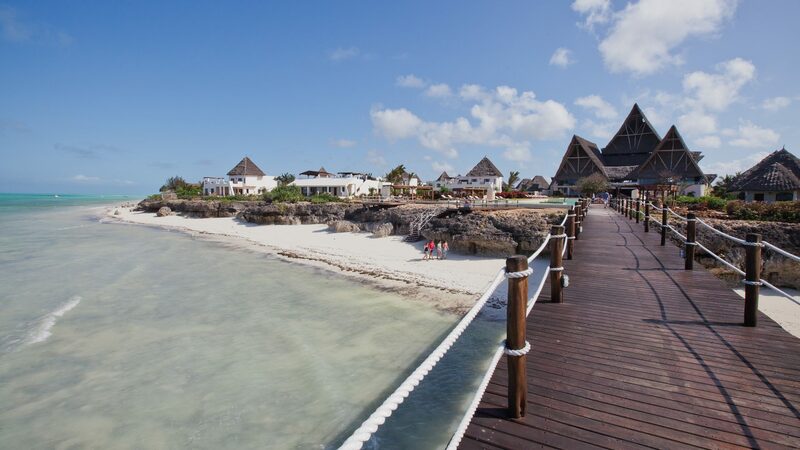 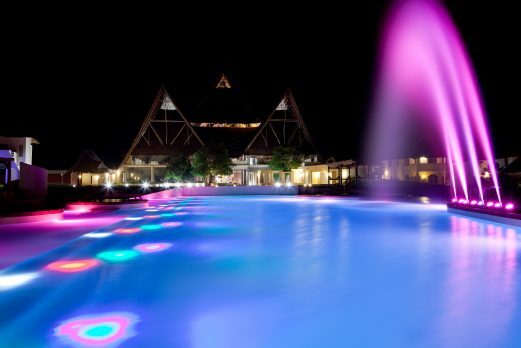 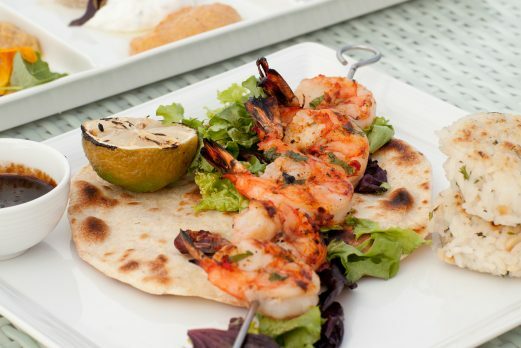 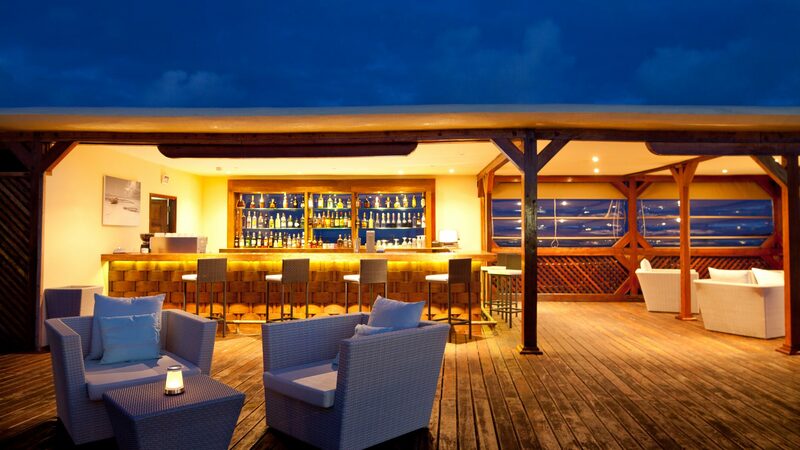 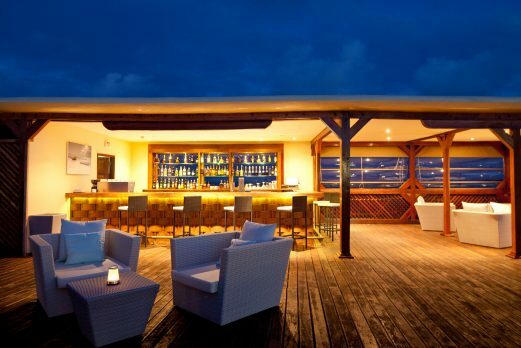 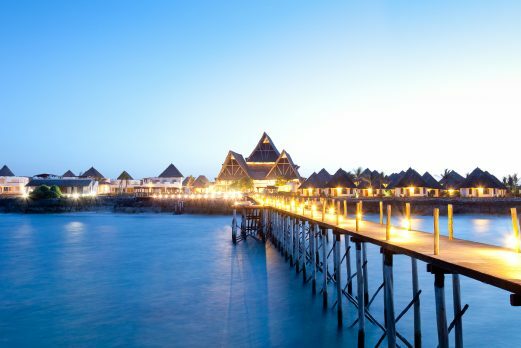 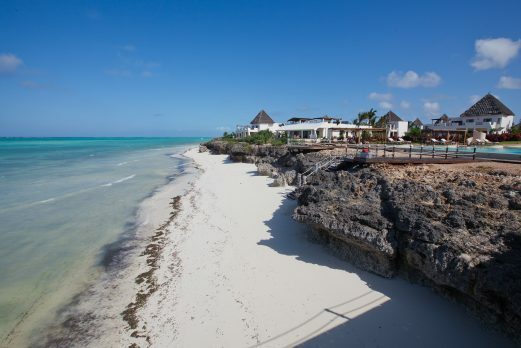 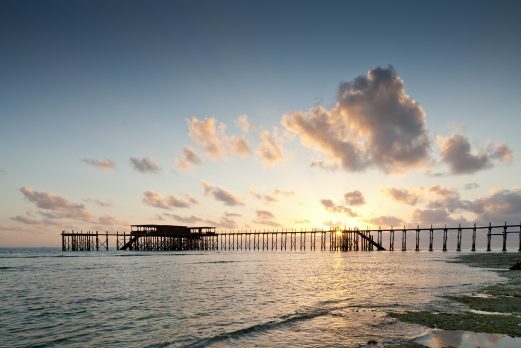 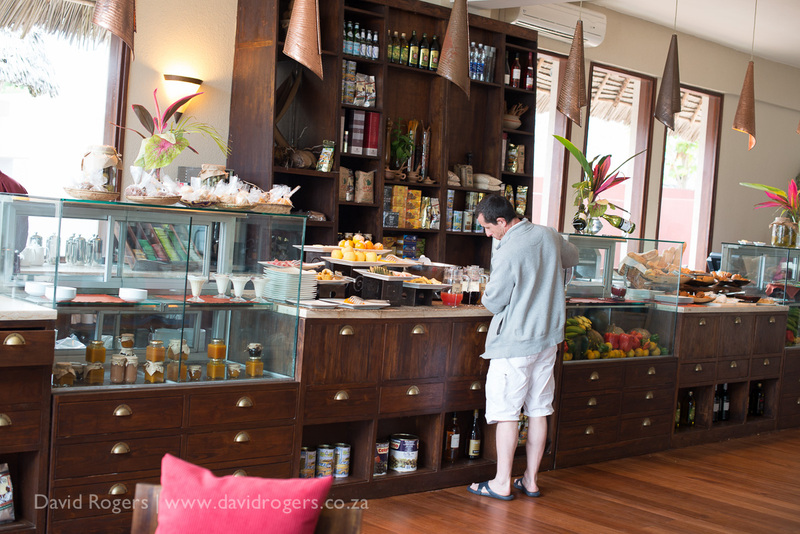 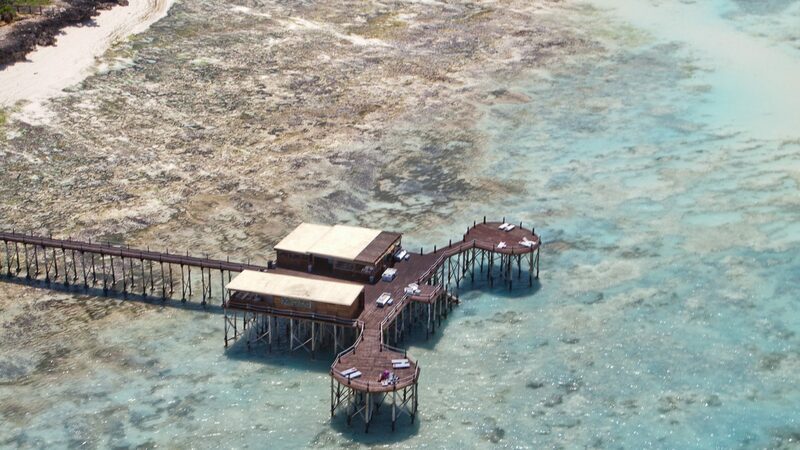 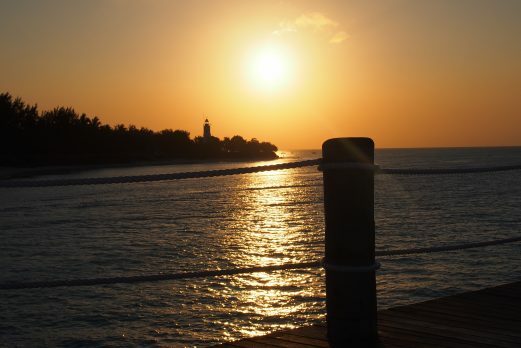 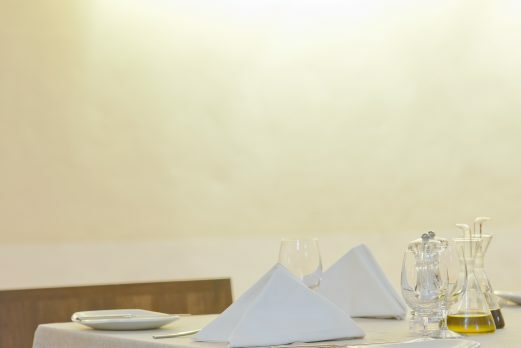 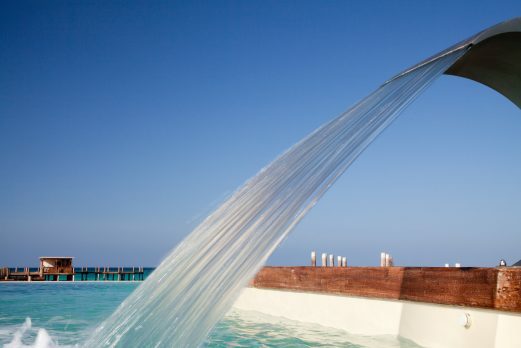 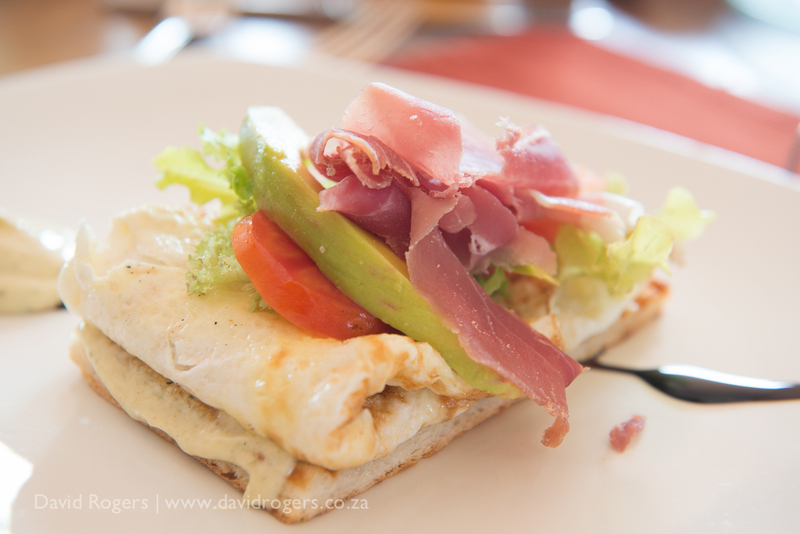 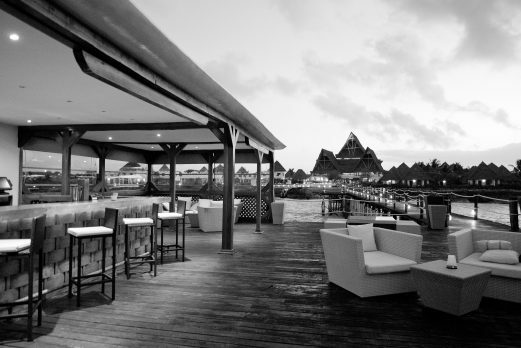 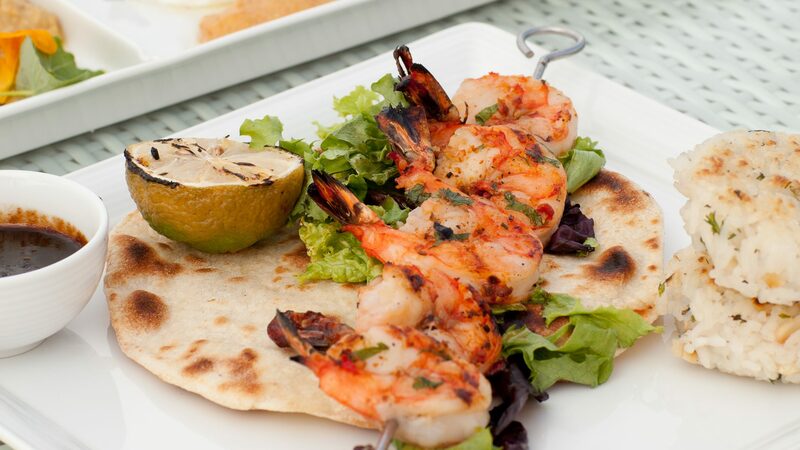 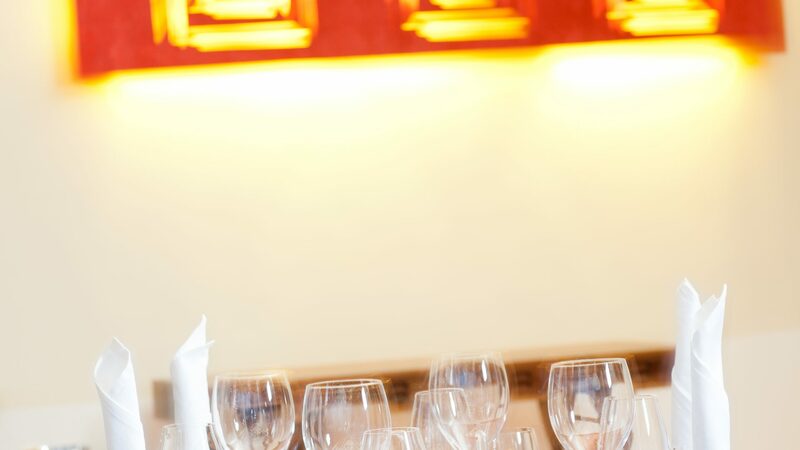 There are three distinctive restaurants which include The Gourmet Deli which will serve fresh local organic produce, the A La Carte restaurant with superb fine dining, and the more relaxed Jetty, where guests can dine al fresco on the shoreline of the Indian Ocean and enjoy an Arabic menu theme. 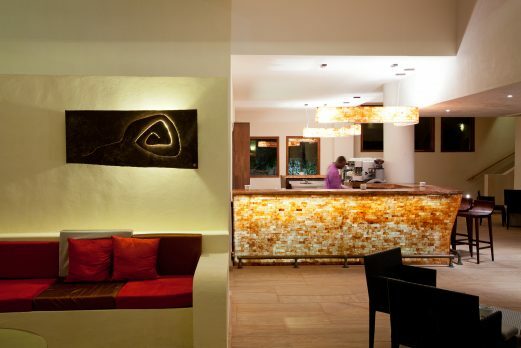 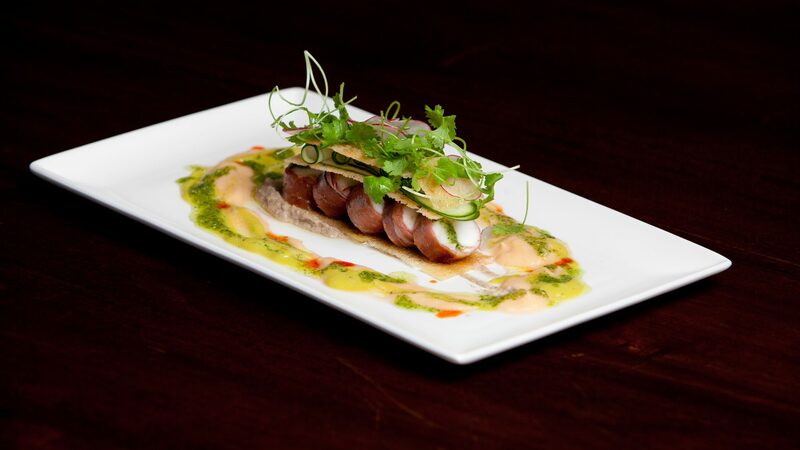 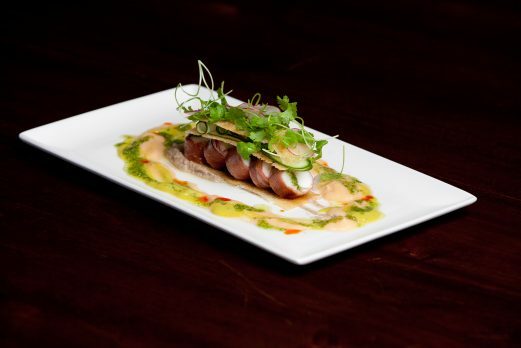 Tapas will be served in the Wine Lounge. 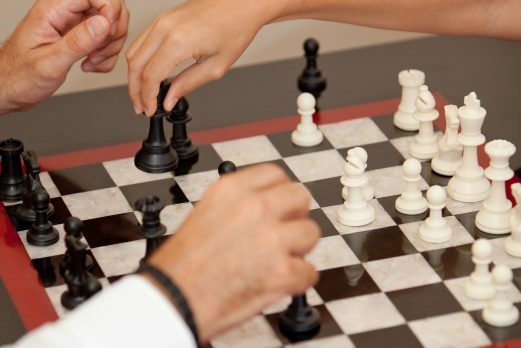 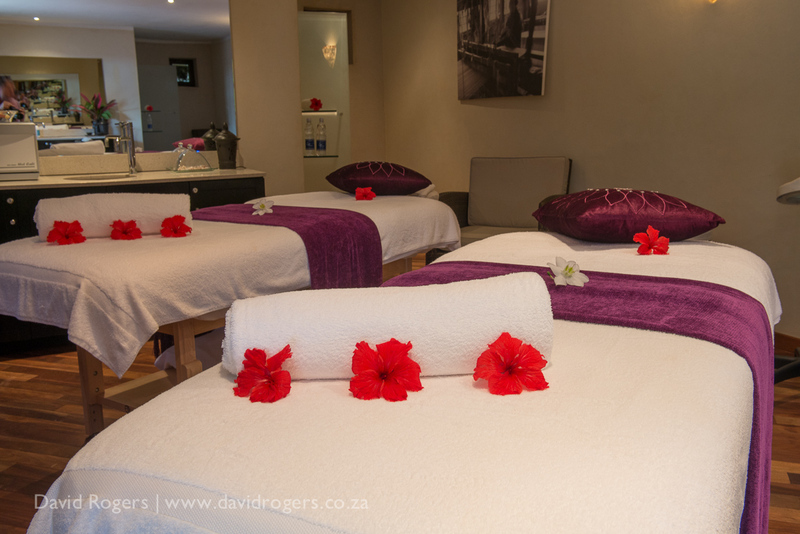 Parents who need a little ‘me-time’ will be reassured to know they will be leaving their offspring in a safe, fun and creative environment. 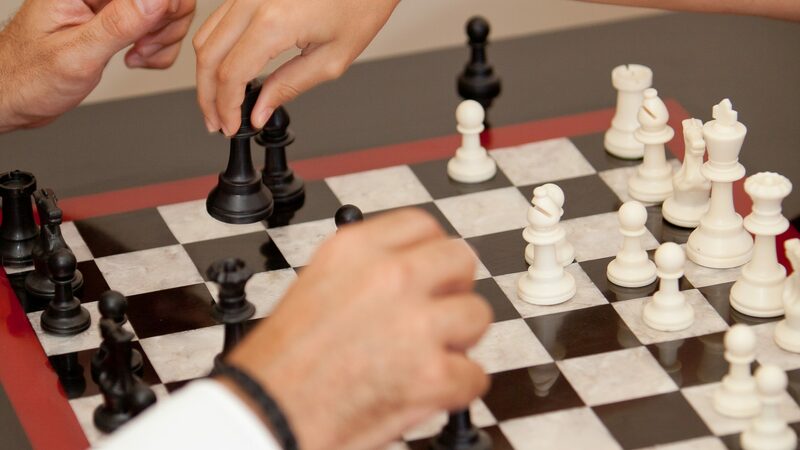 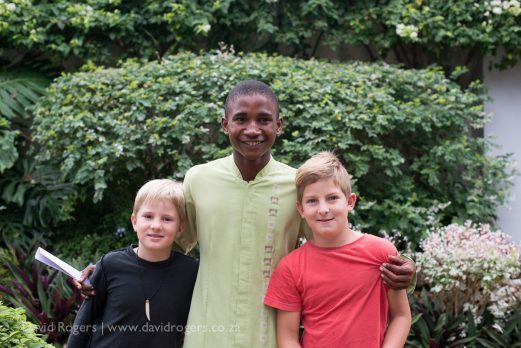 Essque has employed kid’s club experts PetitVip to train their own co-ordinators. 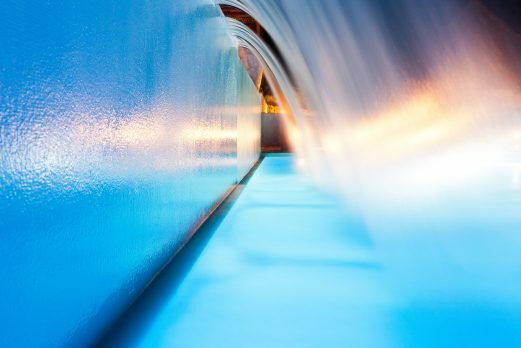 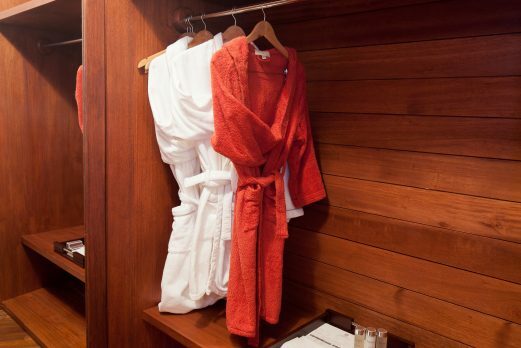 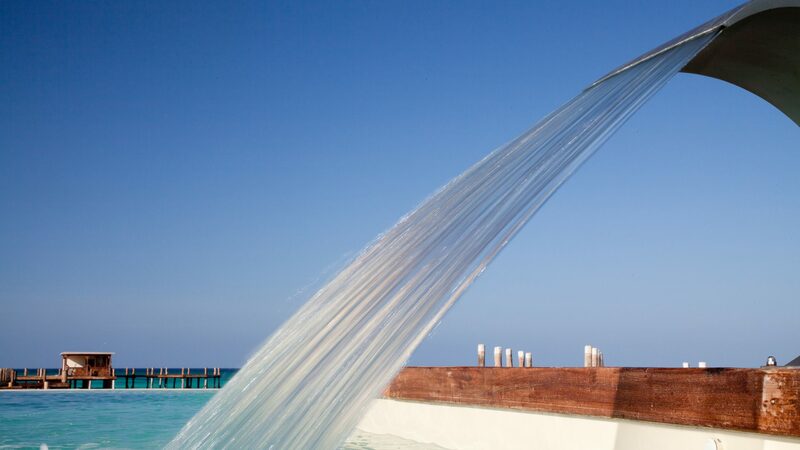 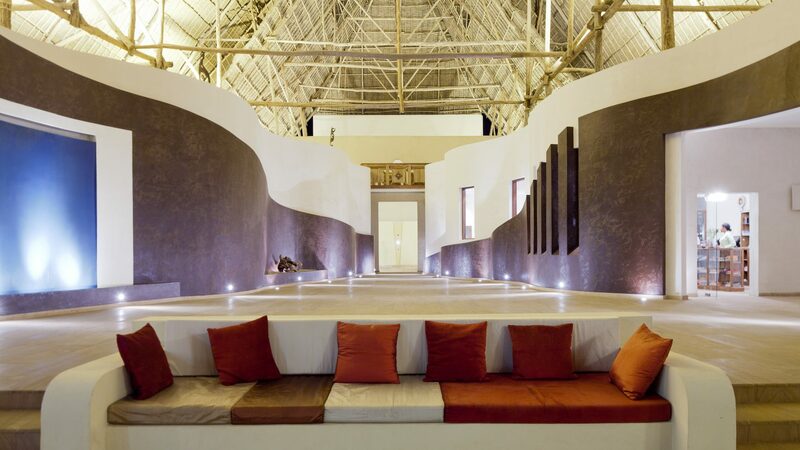 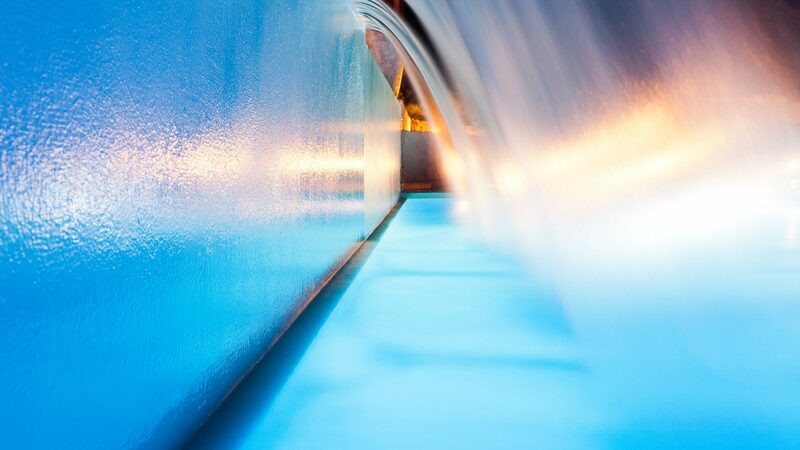 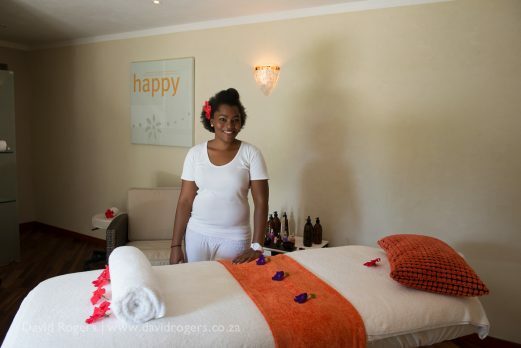 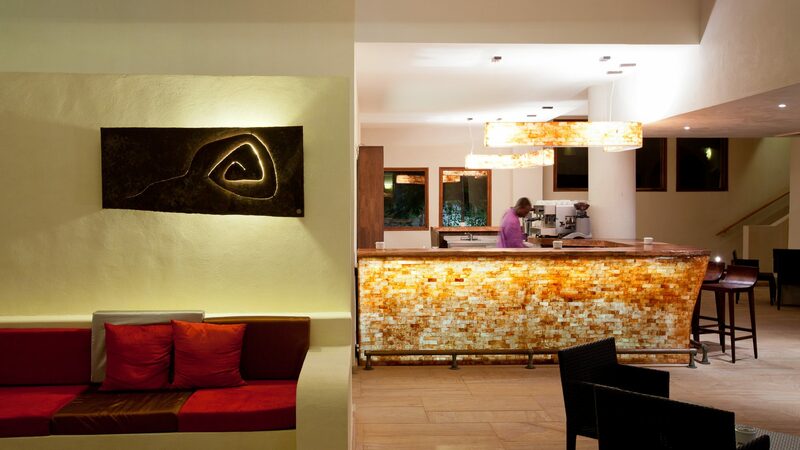 A beautiful Spa has its emphasis on spiritual re-alignment and revitalisation and features the signature Kniepp Walk; an alternating flow of warm and cold water which stimulates the circulation and energy flows of the body to great effect. 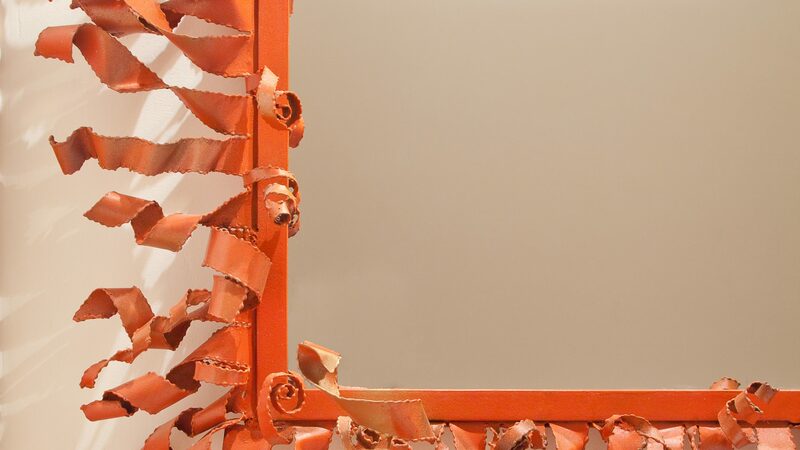 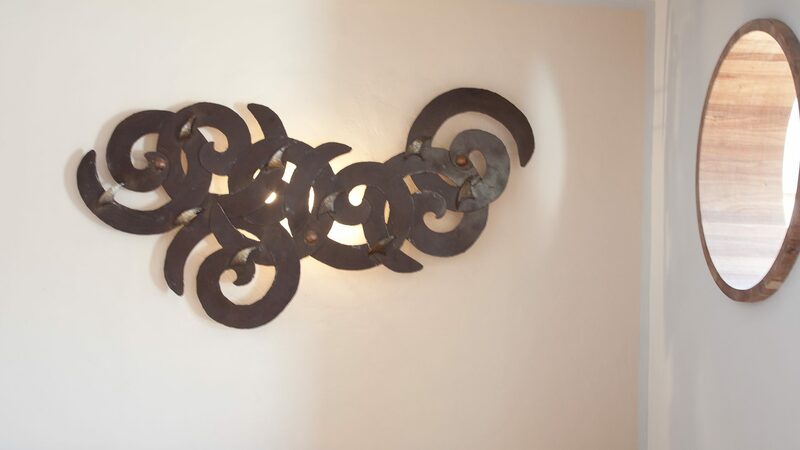 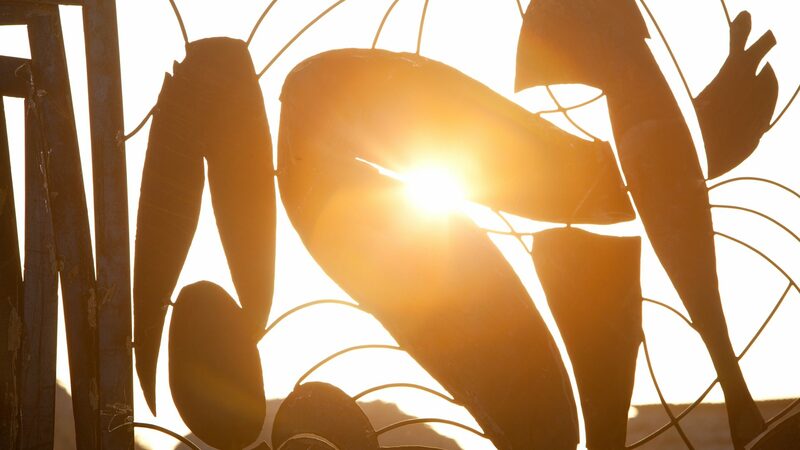 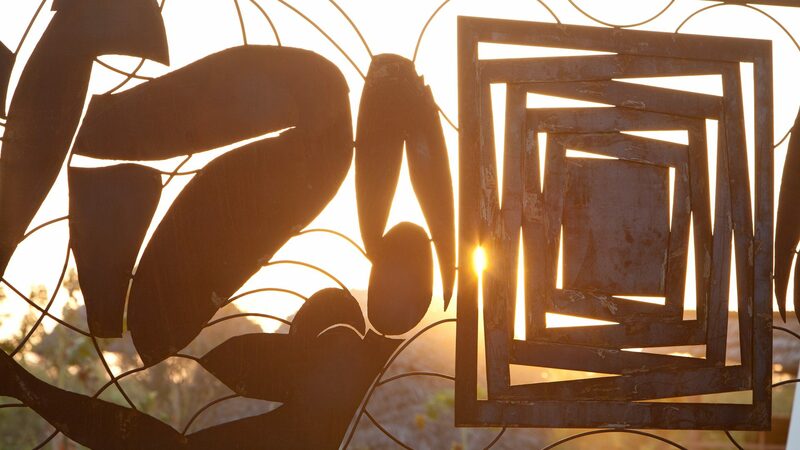 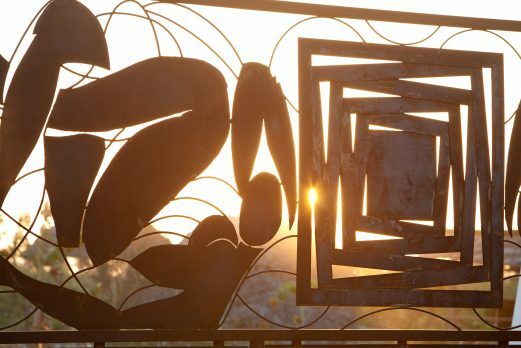 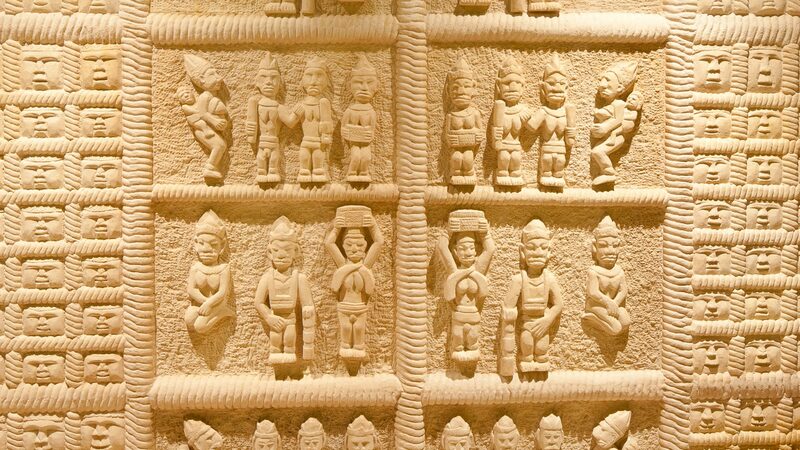 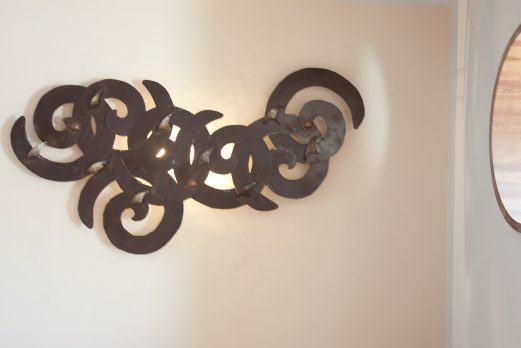 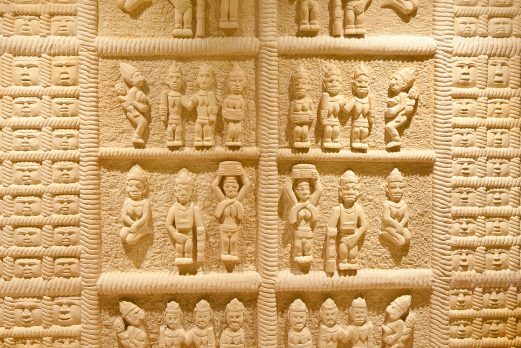 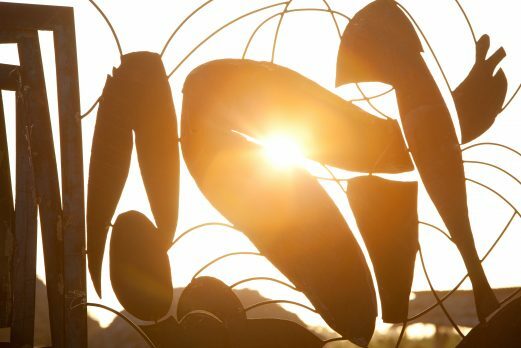 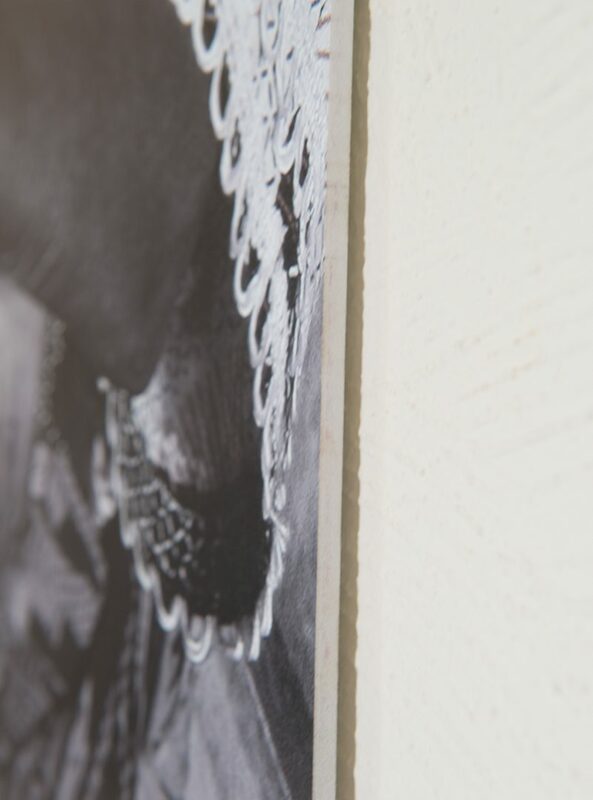 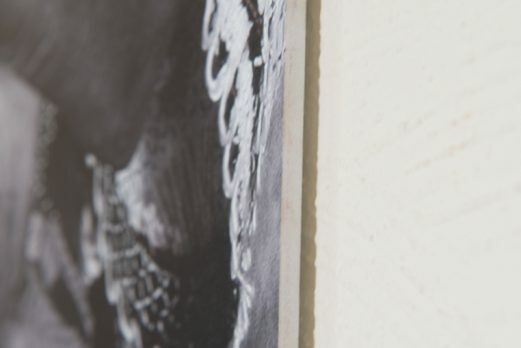 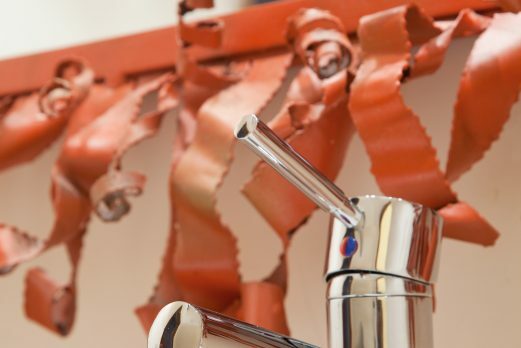 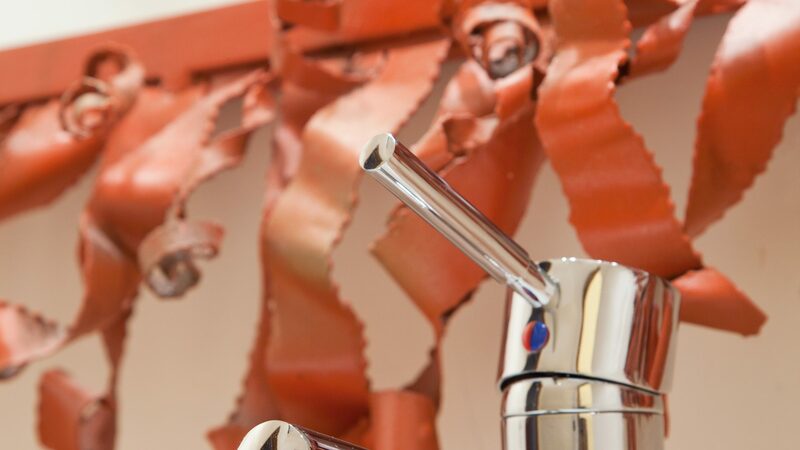 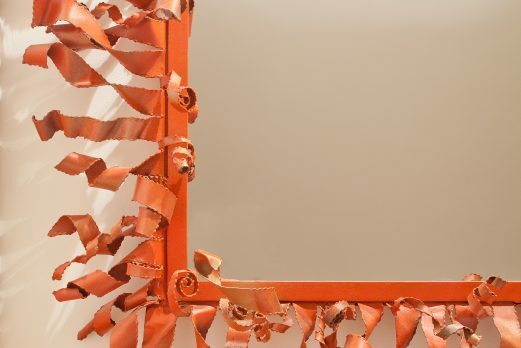 In line with its commitment to the local community, Essque is delighted to promote local artistic talent and the in-hotel Art Gallery will include paintings, sculptures, photographs and glassworks from local, regional and international artists. 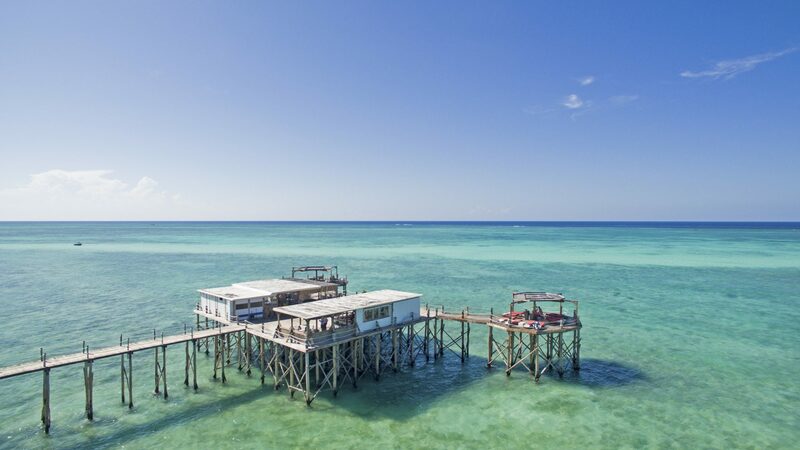 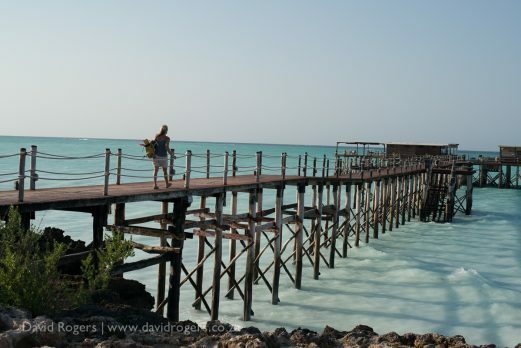 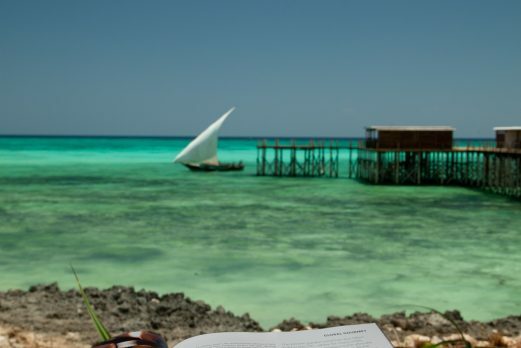 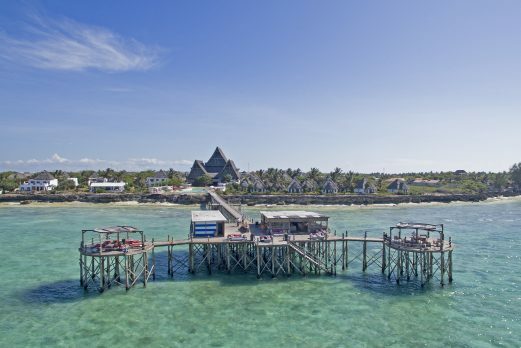 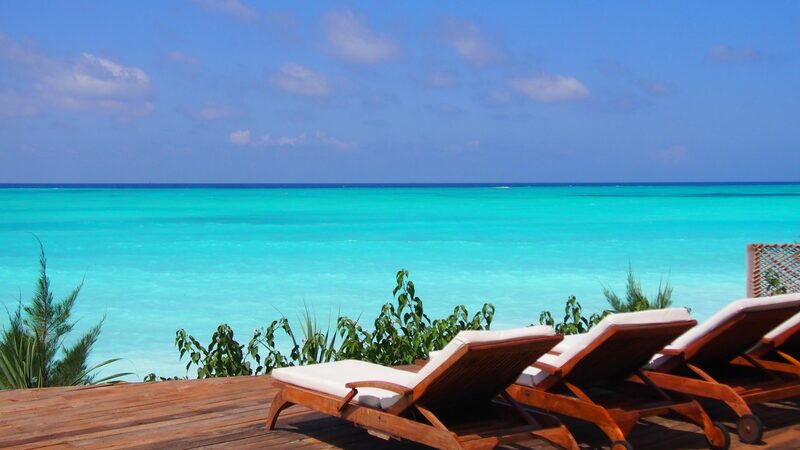 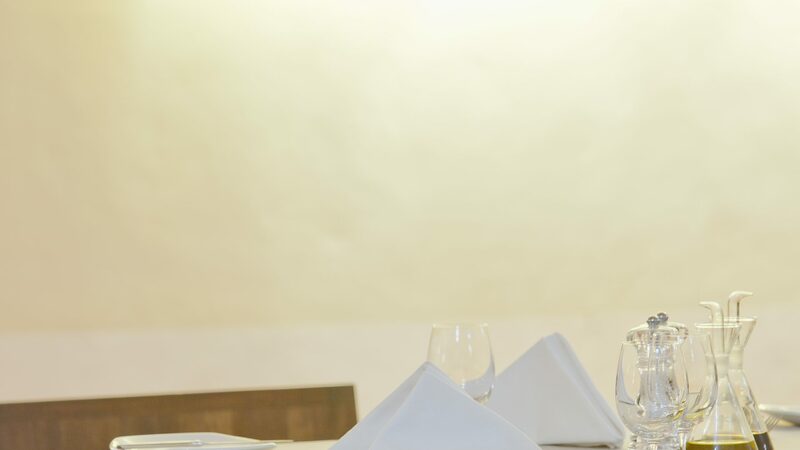 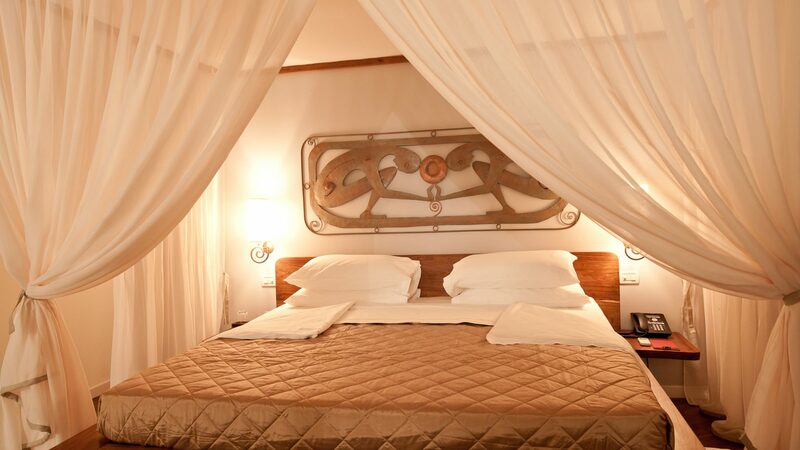 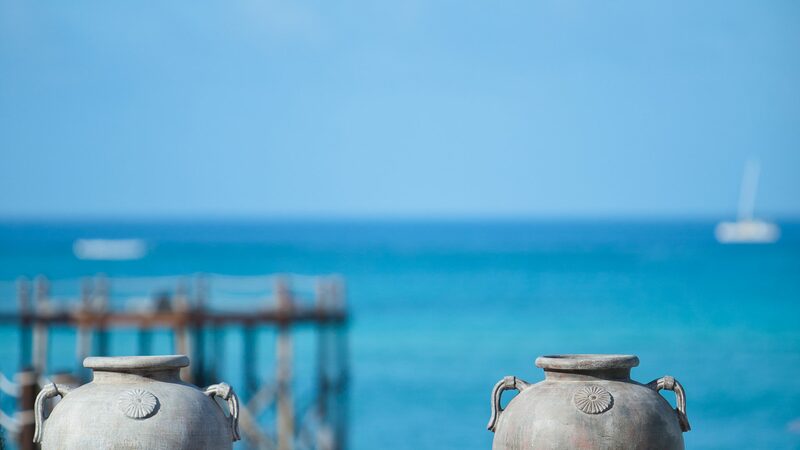 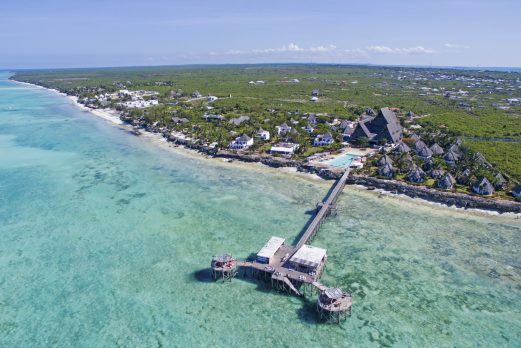 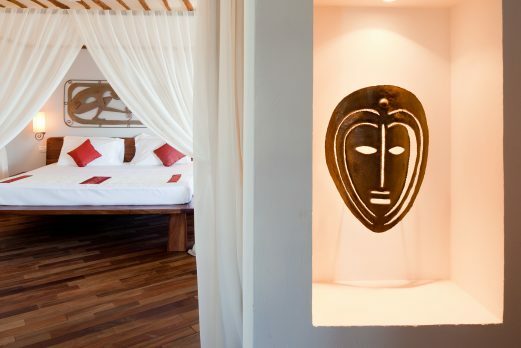 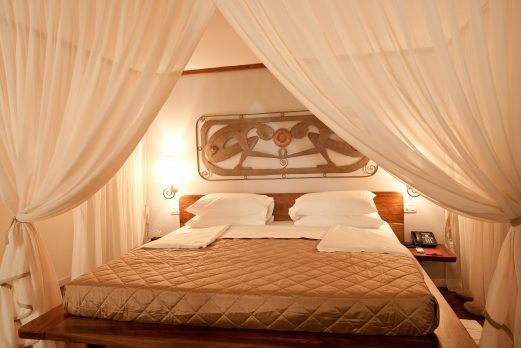 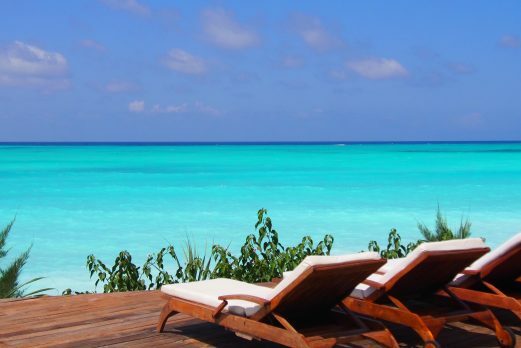 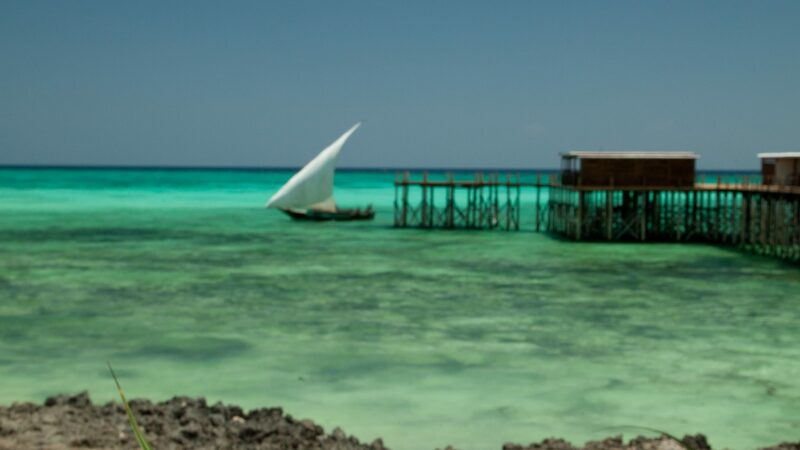 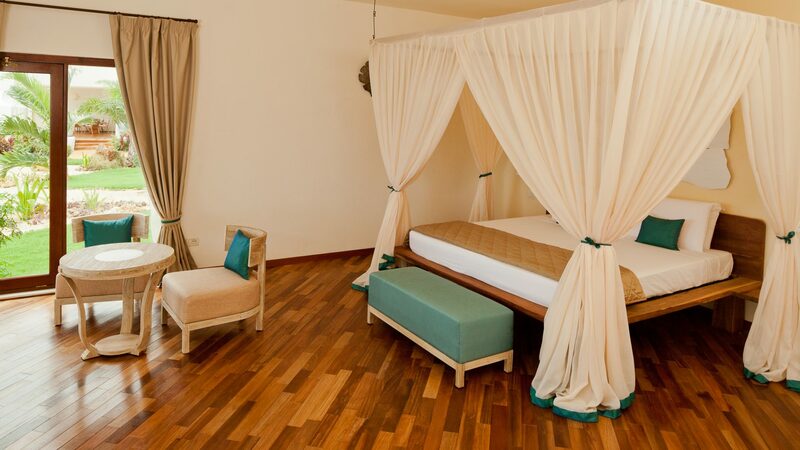 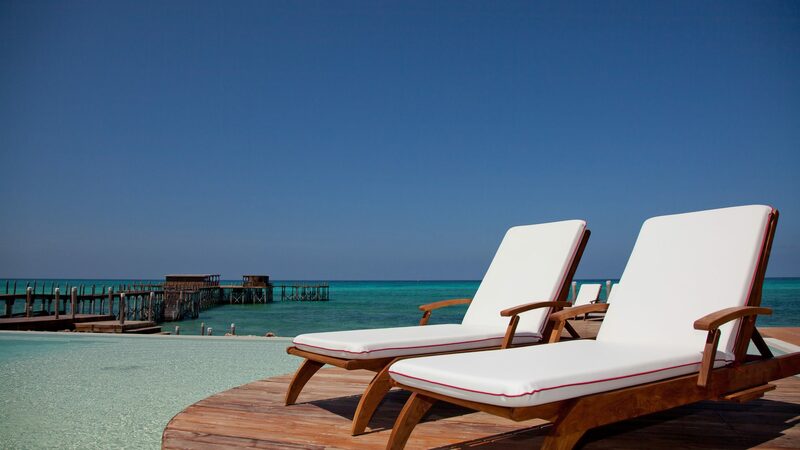 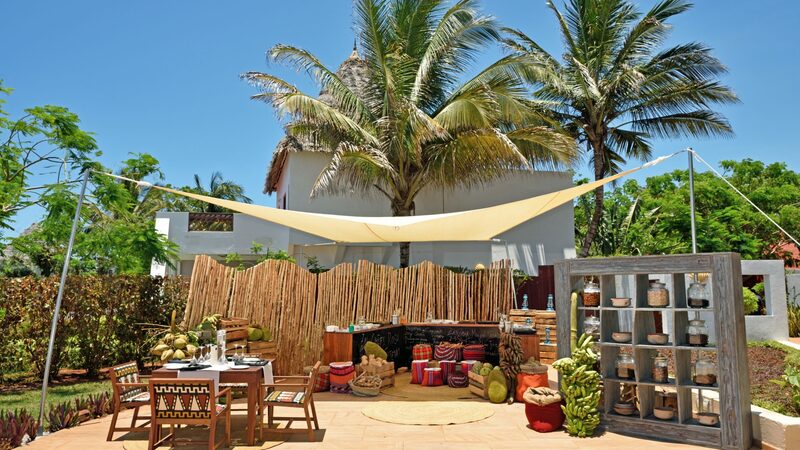 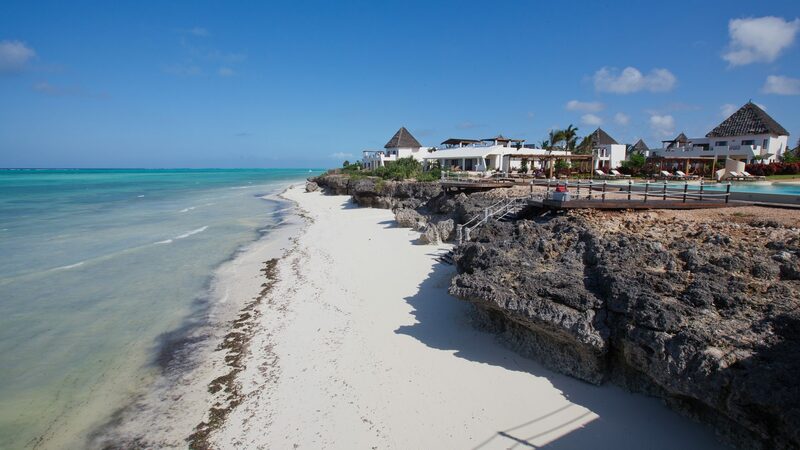 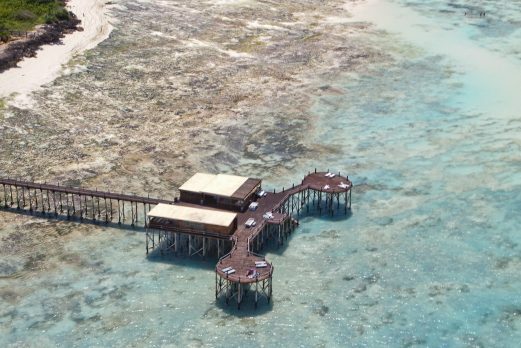 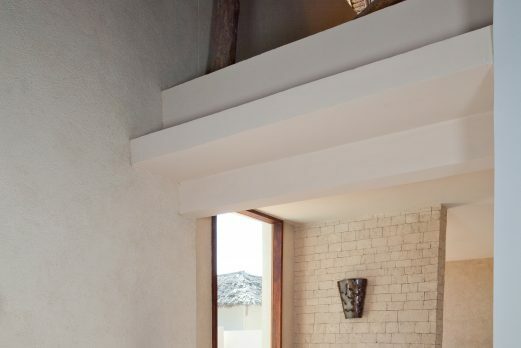 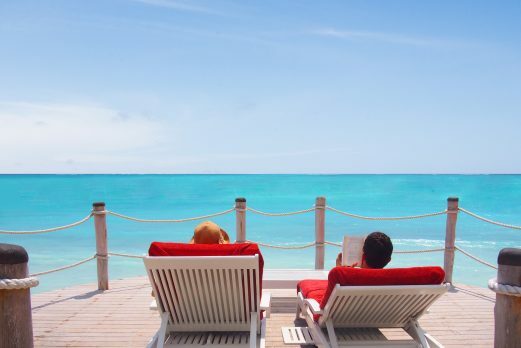 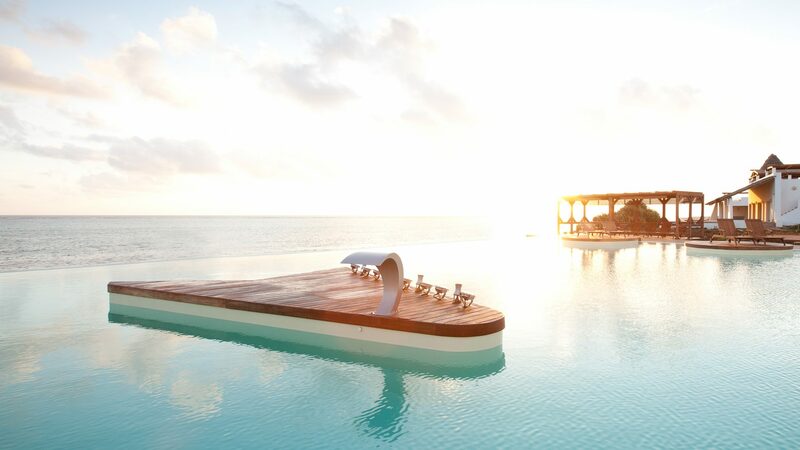 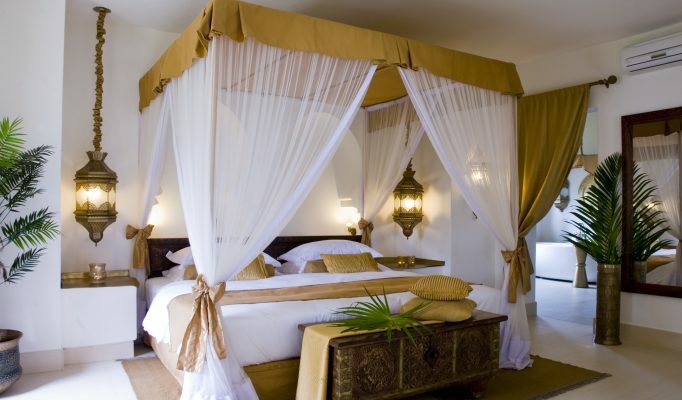 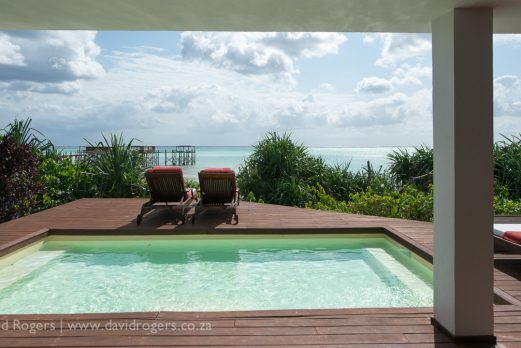 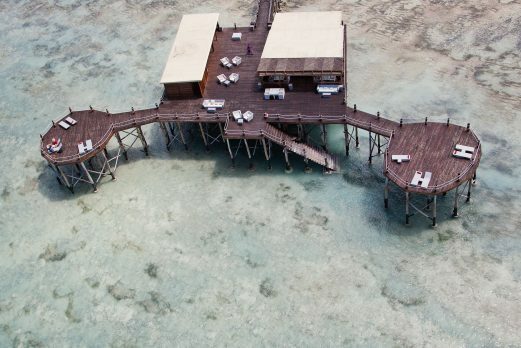 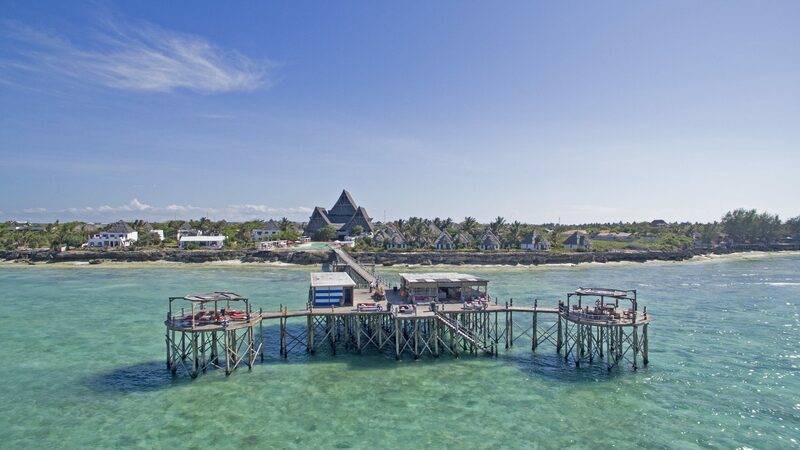 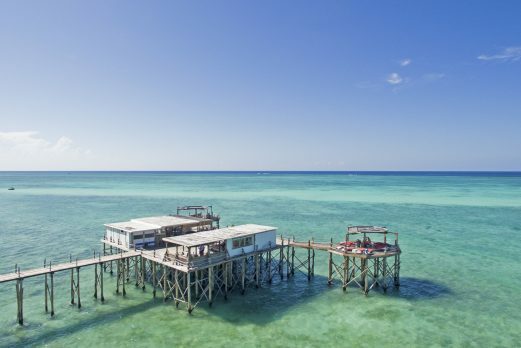 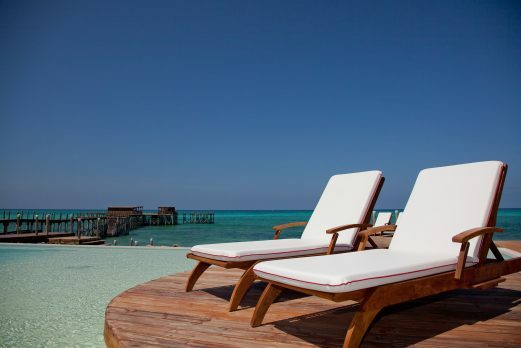 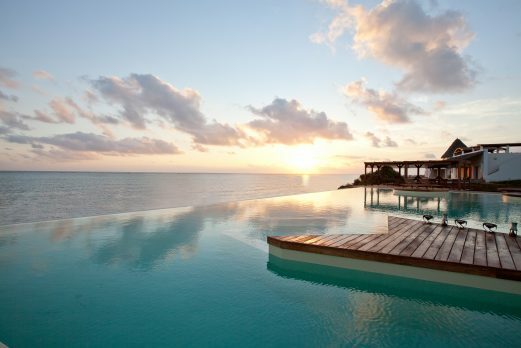 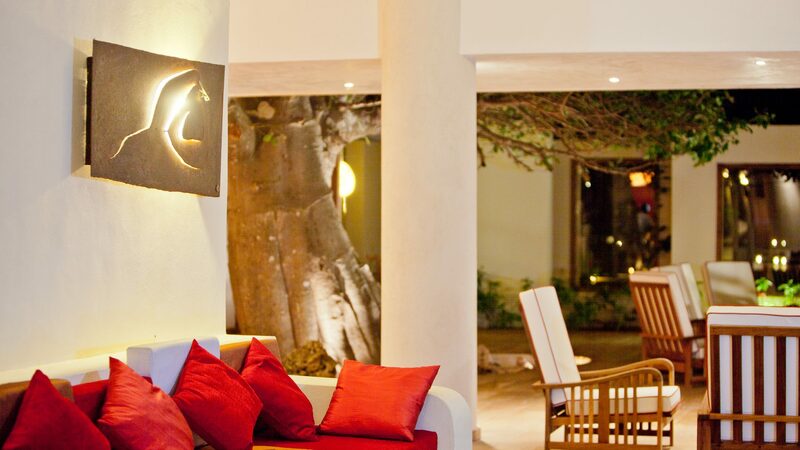 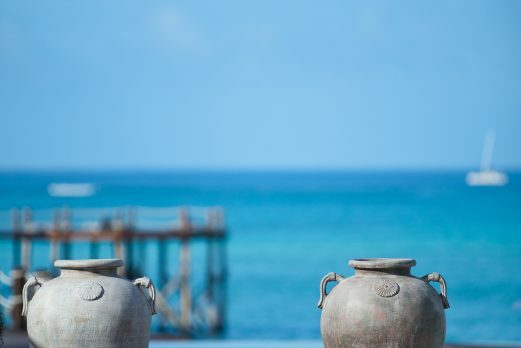 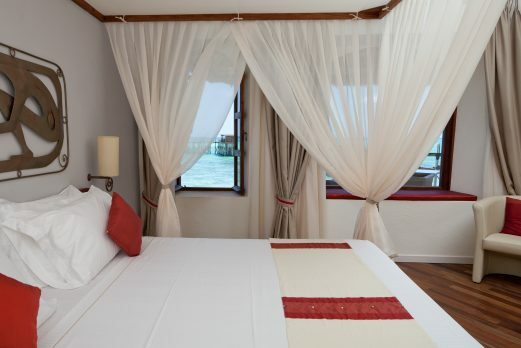 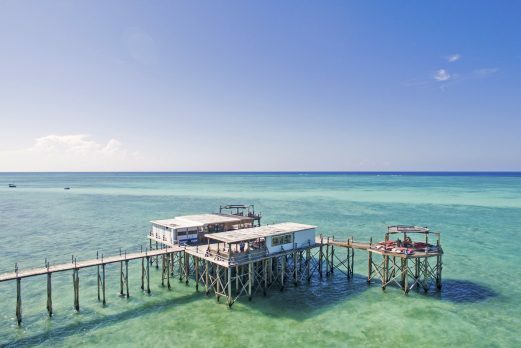 We consider this to be a great addition to the Zanzibar portfolio, addressing twenty first century demands whilst retaining an authentic Zanzibari atmosphere. 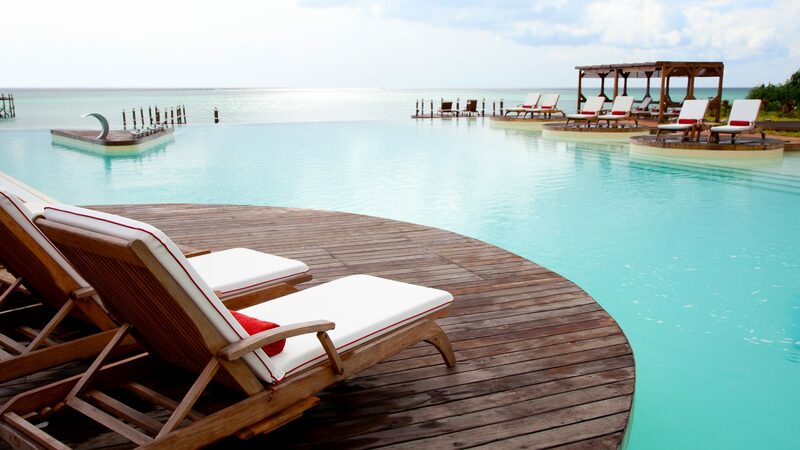 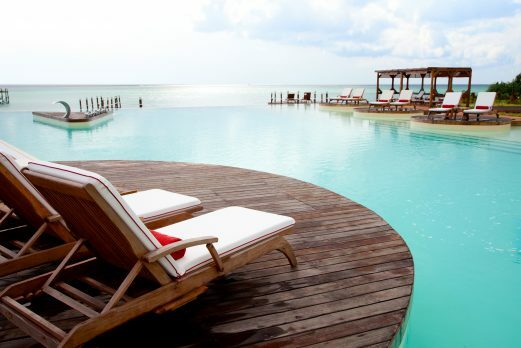 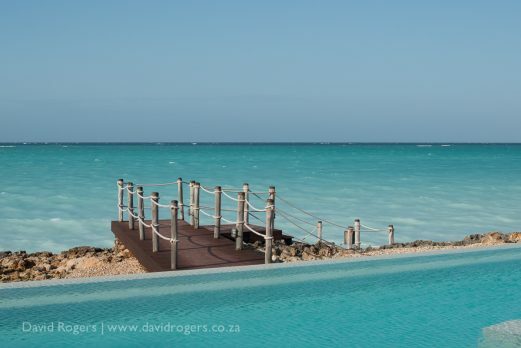 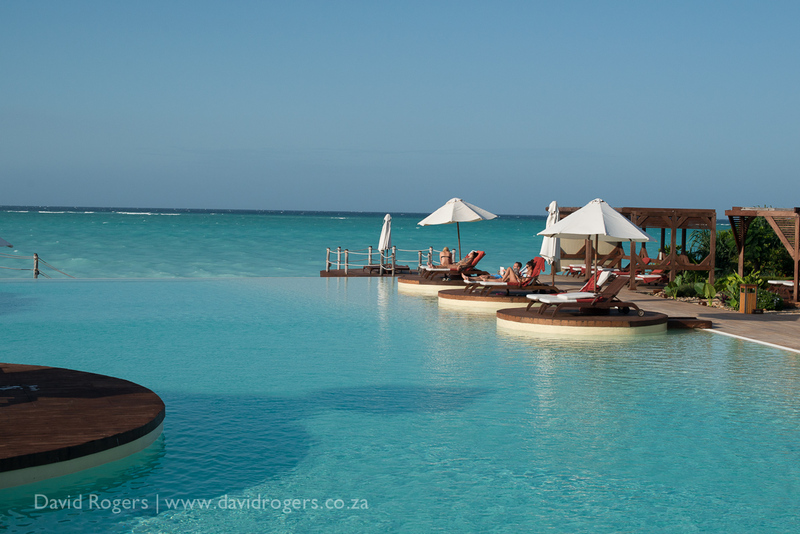 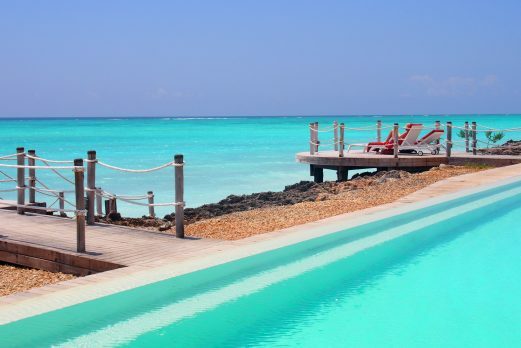 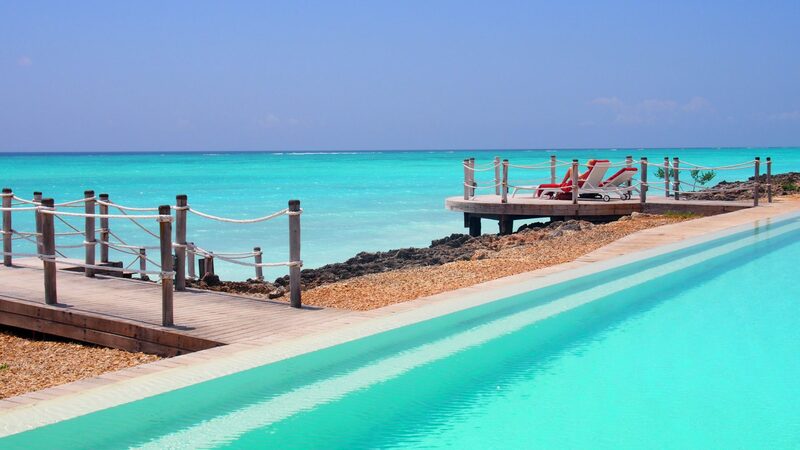 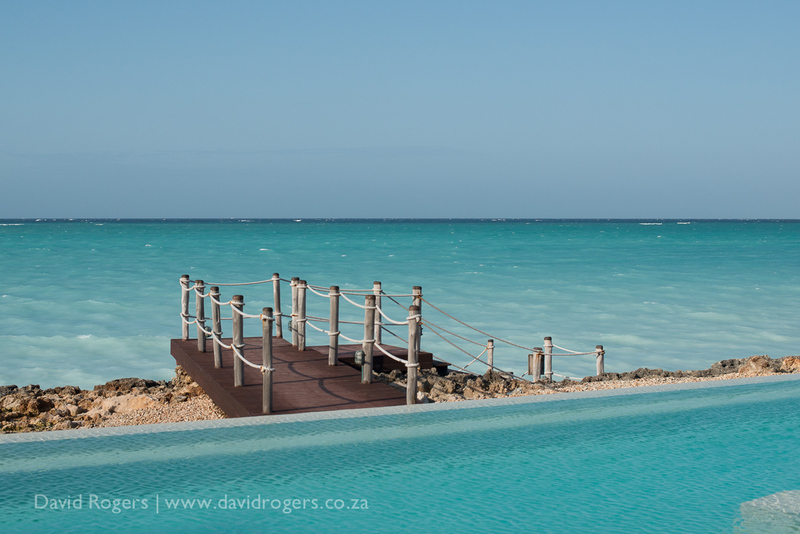 The beach is limited but the stunning pools and jetty where you can dive into the turquoise seas more than offset this potential shortfall.